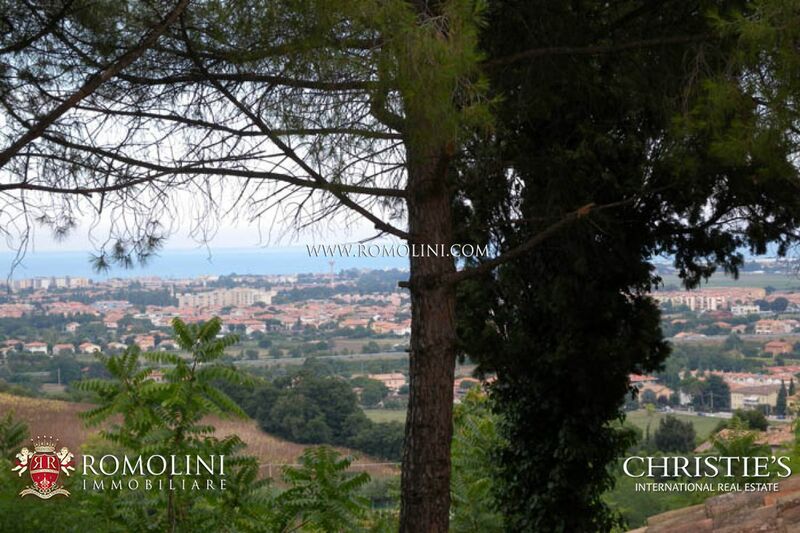 A first sketch of the province of Pesaro-Urbino can be traced to the ancient Ager Gallicus established by the Romans after the battle of Sentino, in which the centers of Sena Gallica, Ariminum, Pisaurum and Fanum Fortunae were founded. 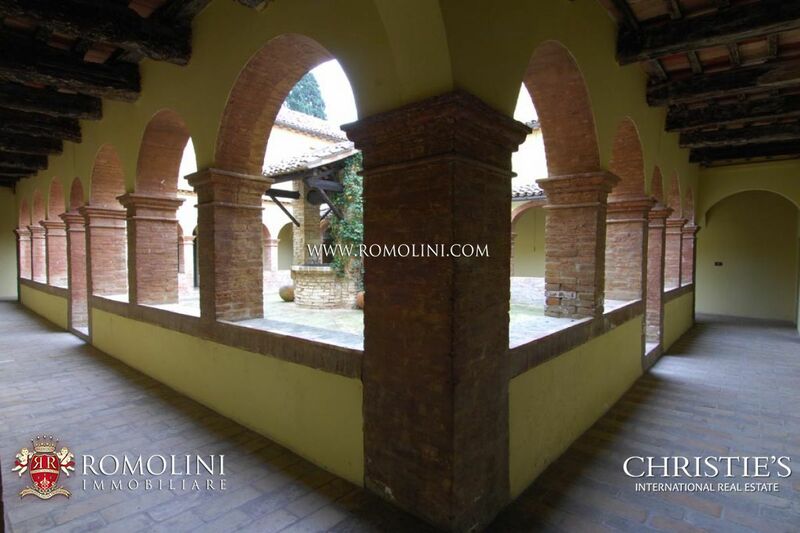 The Roman province merged in the Middle Ages inside the Byzantine Exarchate of Ravenna. 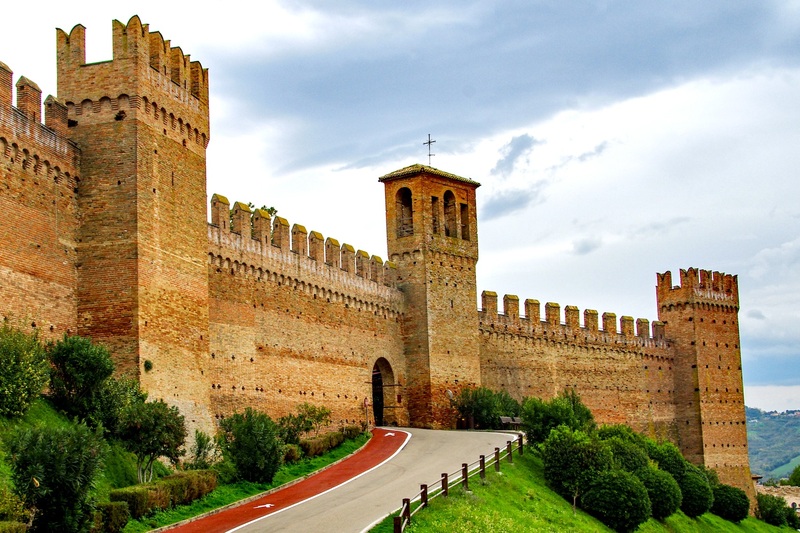 From 754 the Pontifical State took power over the Marche and the territories of the two cities joined the Marca Anconetana (1210). 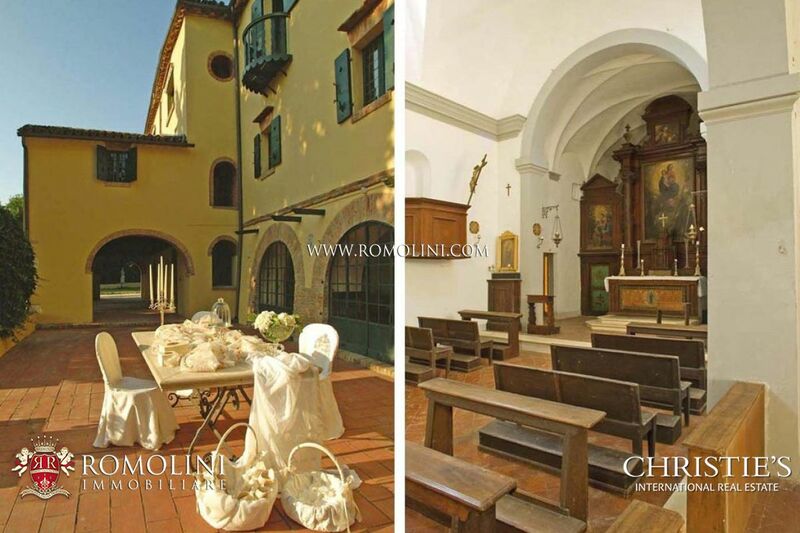 In 1816 Pope Pius VII established the Apostolic Delegation of Urbino and Pesaro that survived until 1860 when the territory was officially annexed to the Kingdom of Italy. 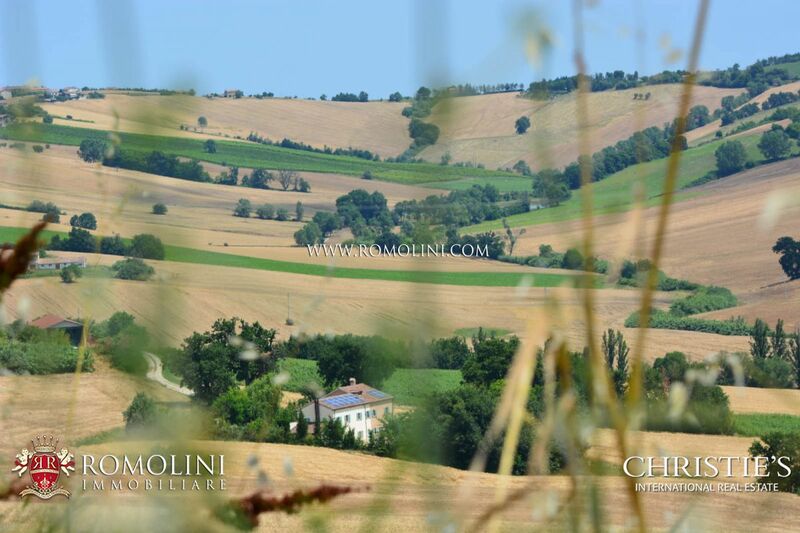 On December 22, 1860, the province of Pesaro-Urbino was established and still exists today. 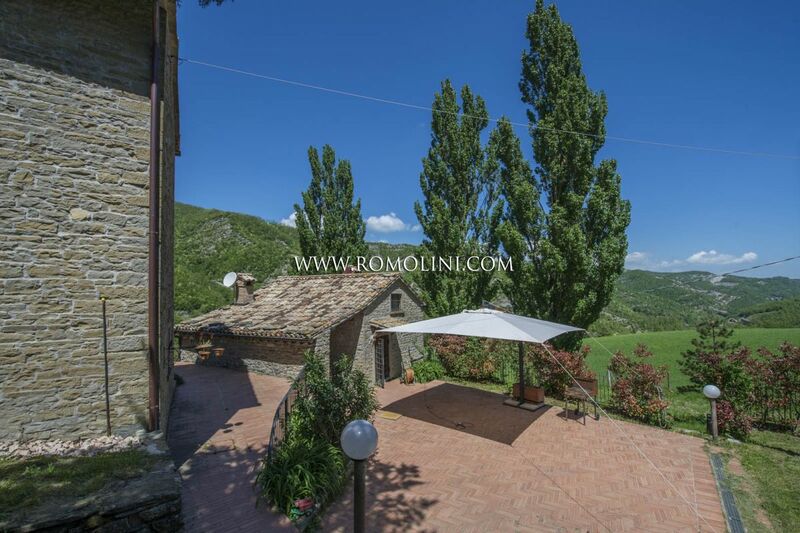 The province extends from the Apennines to the sea and includes several interesting cities: on the mountains we can find Urbino, with its splendid palace, while towards the sea the center of Fano is a renowned seaside and tourist destination. 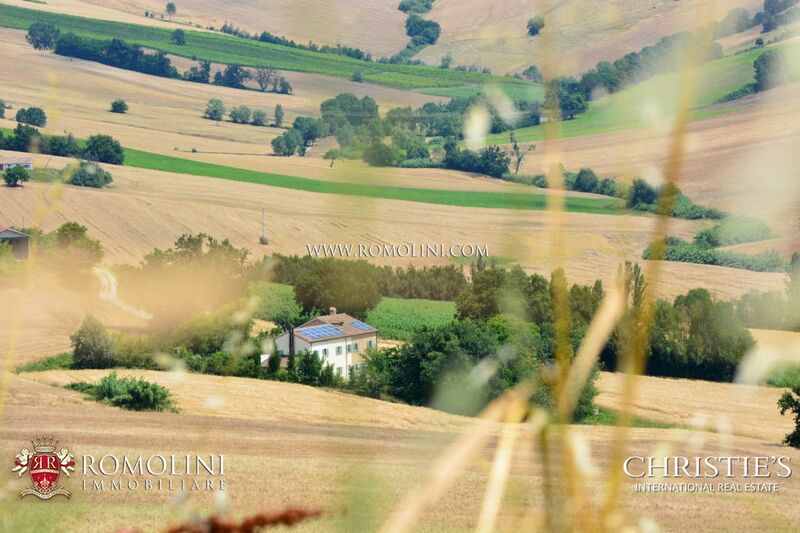 Halfway between the two there is the village of Mondavio, where it is possible to admire the splendid Rocca Roveresca. 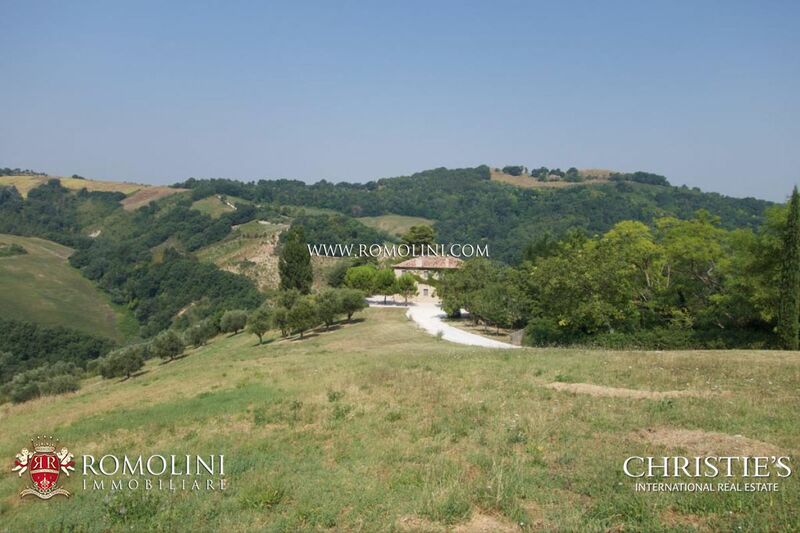 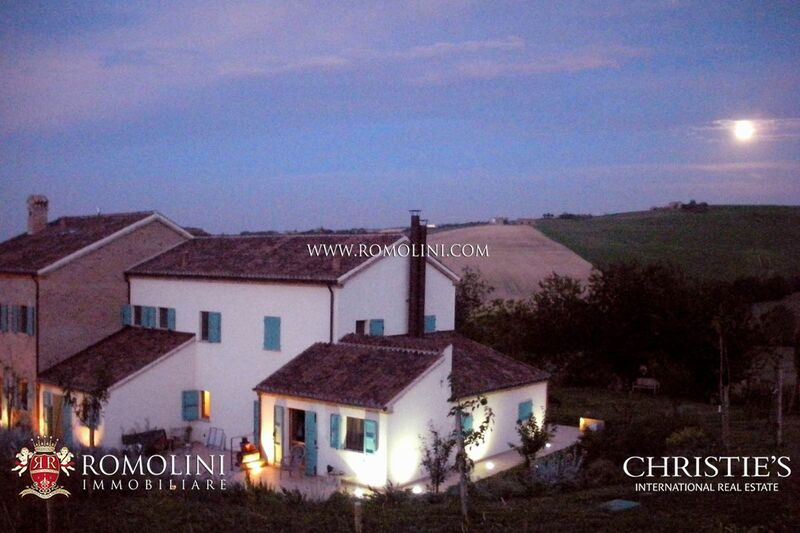 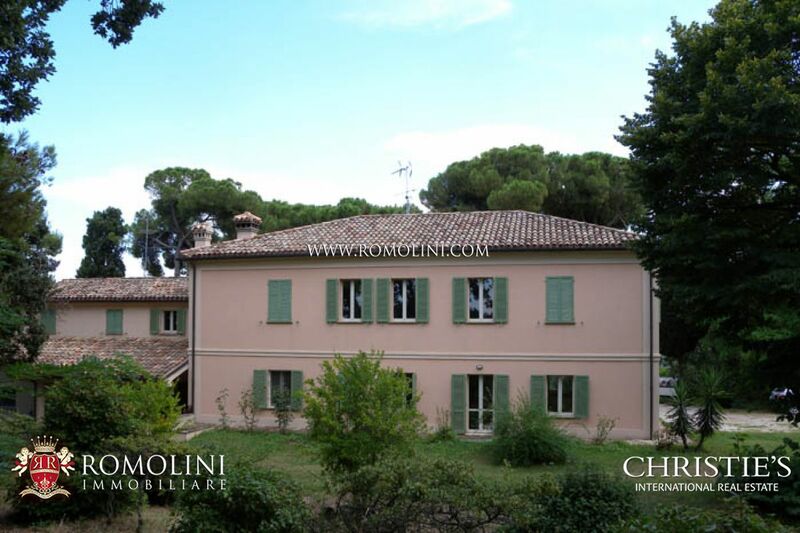 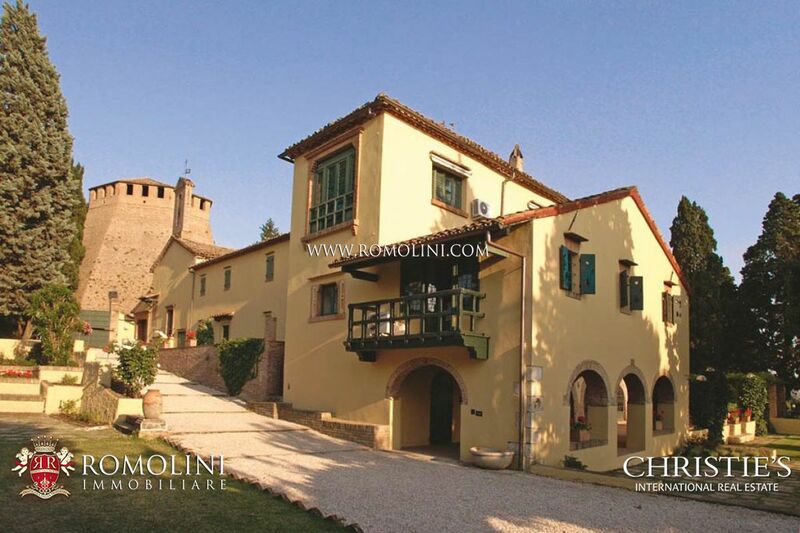 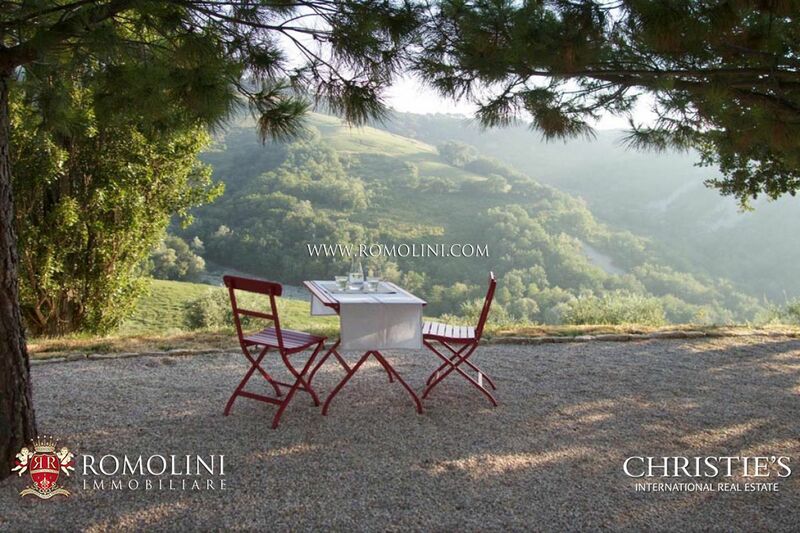 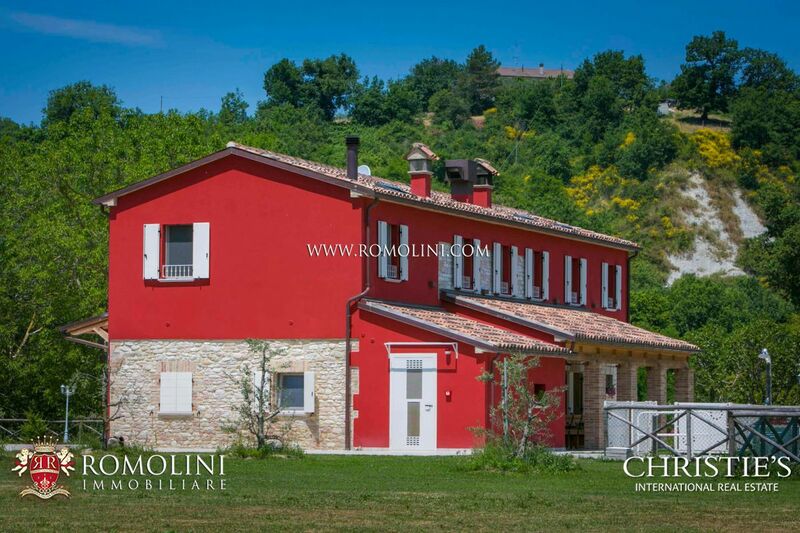 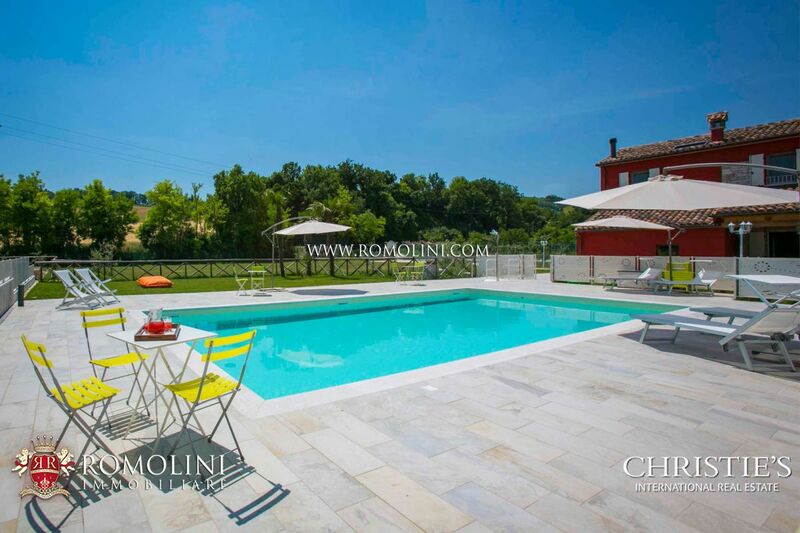 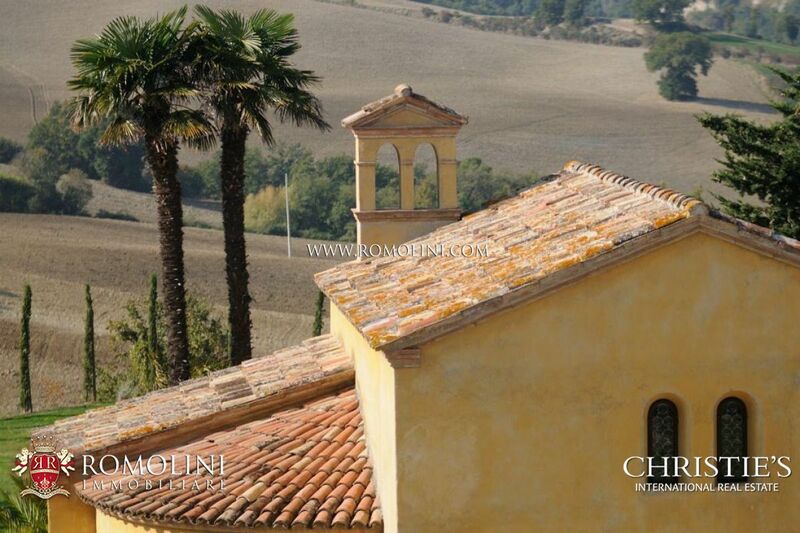 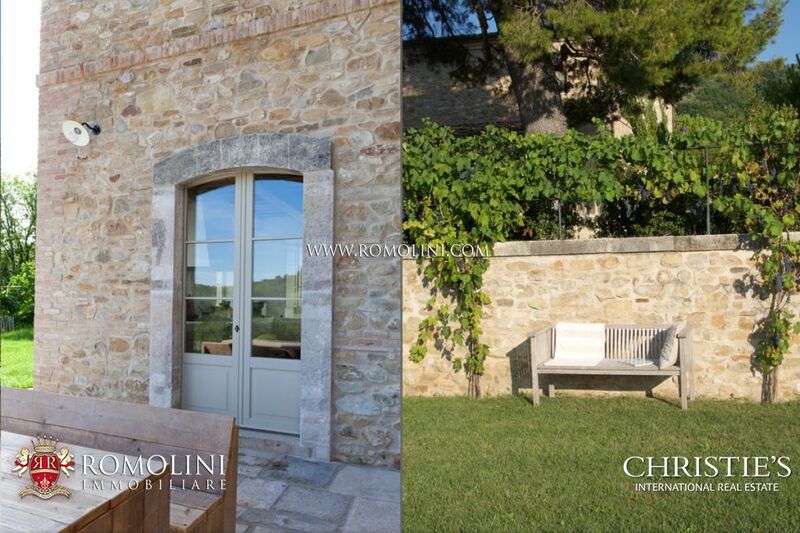 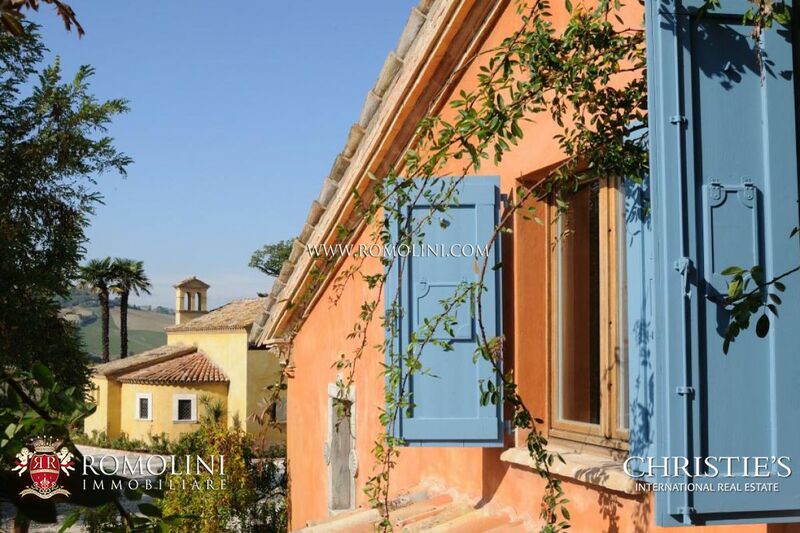 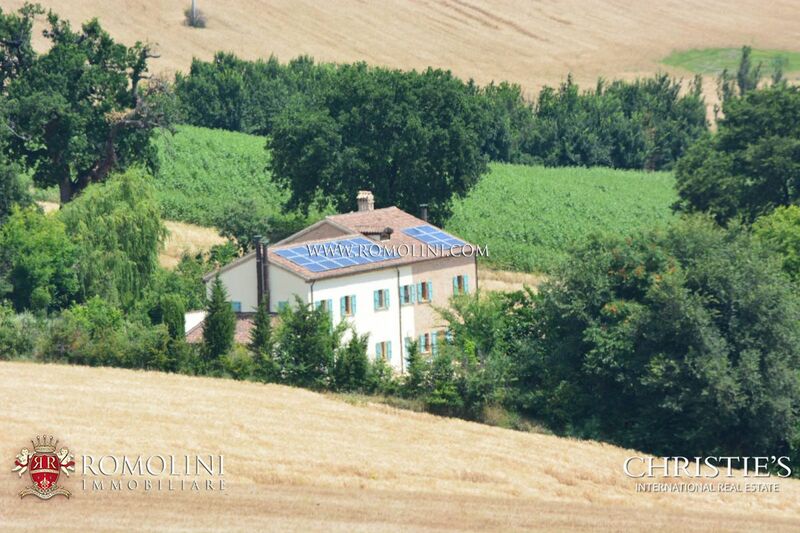 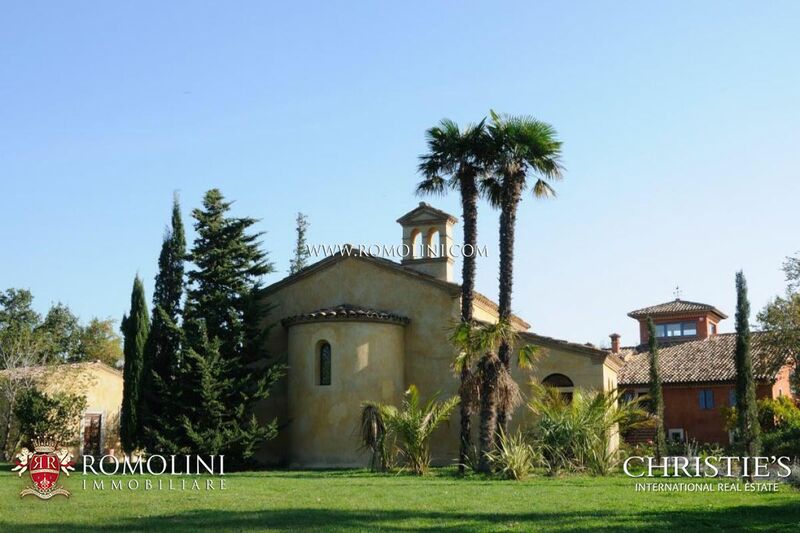 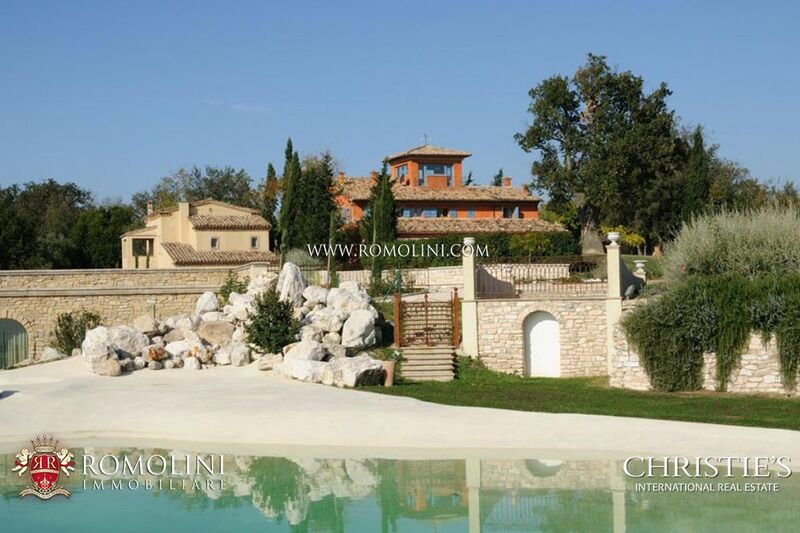 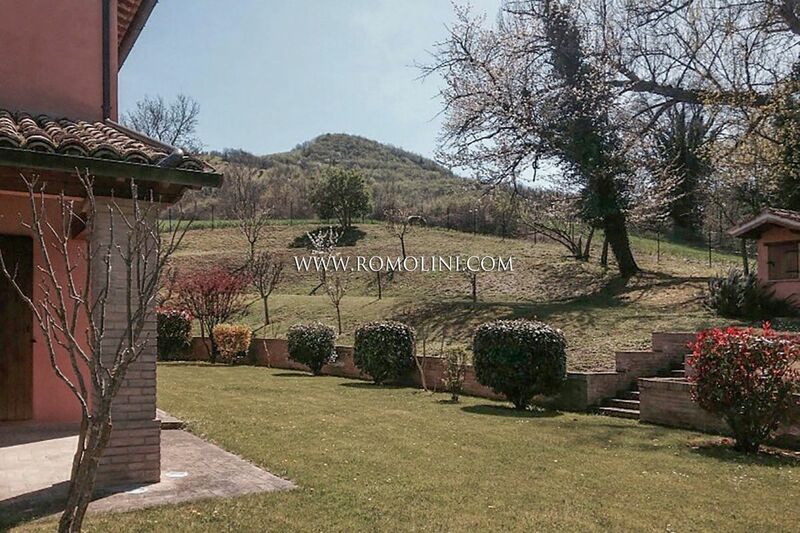 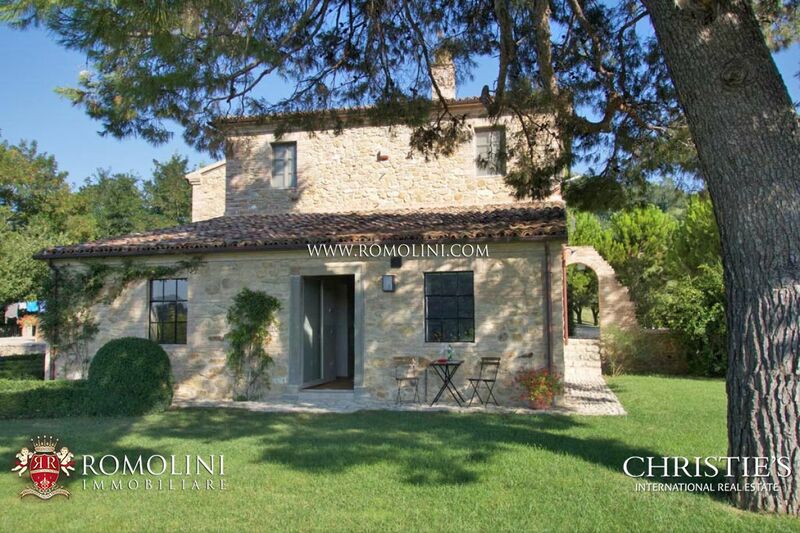 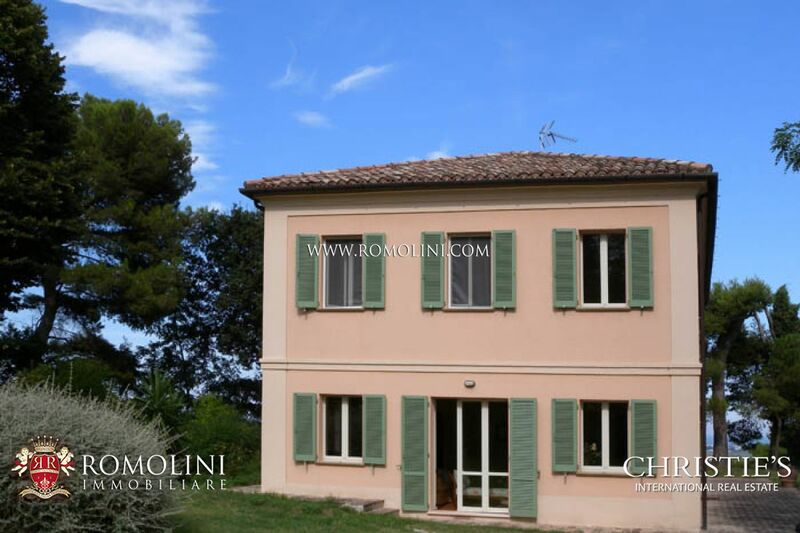 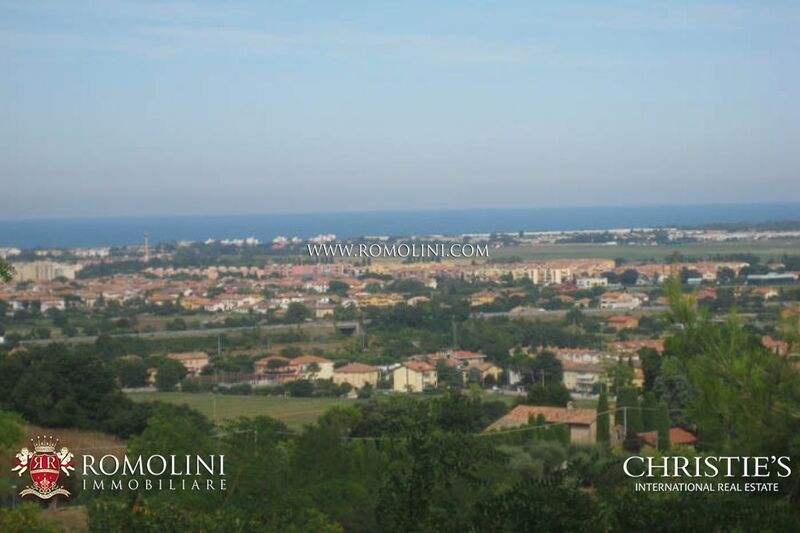 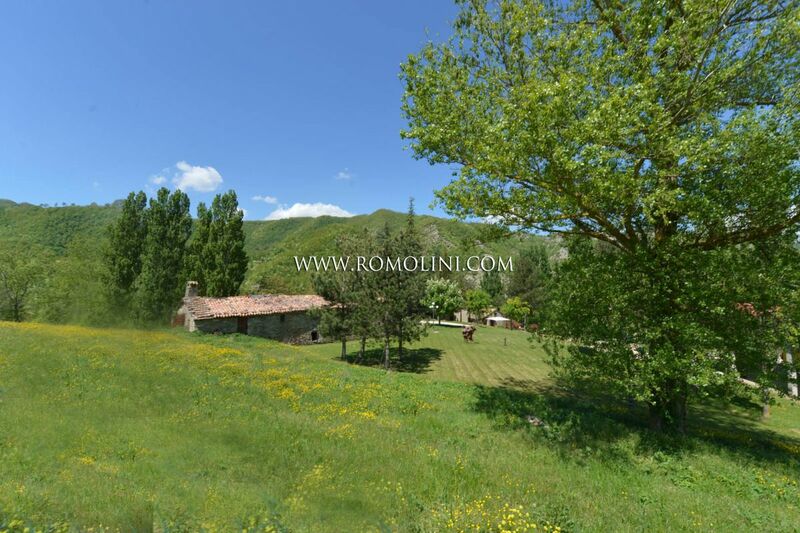 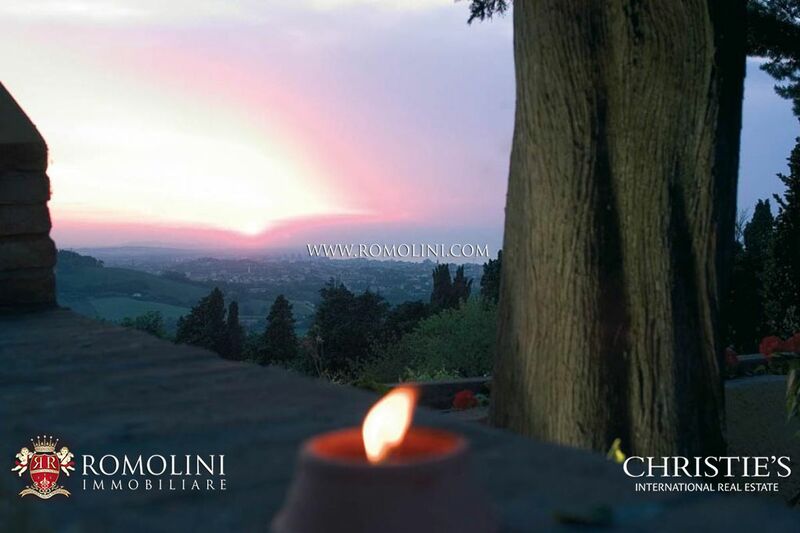 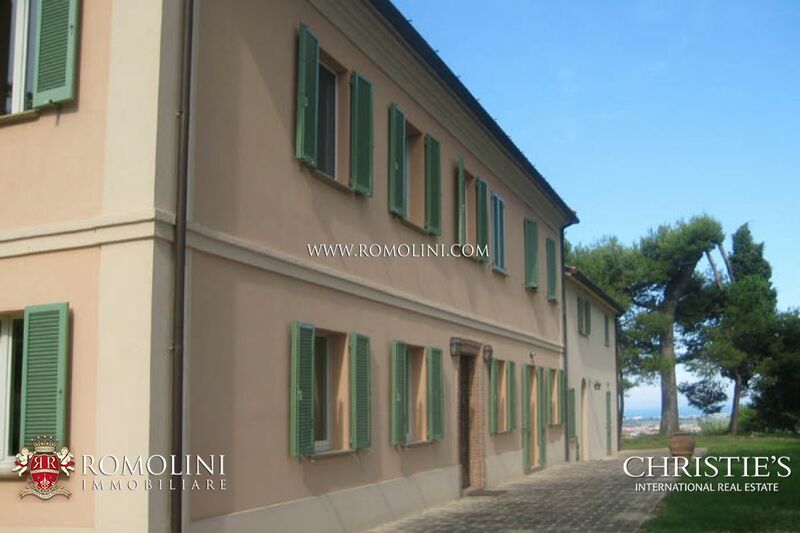 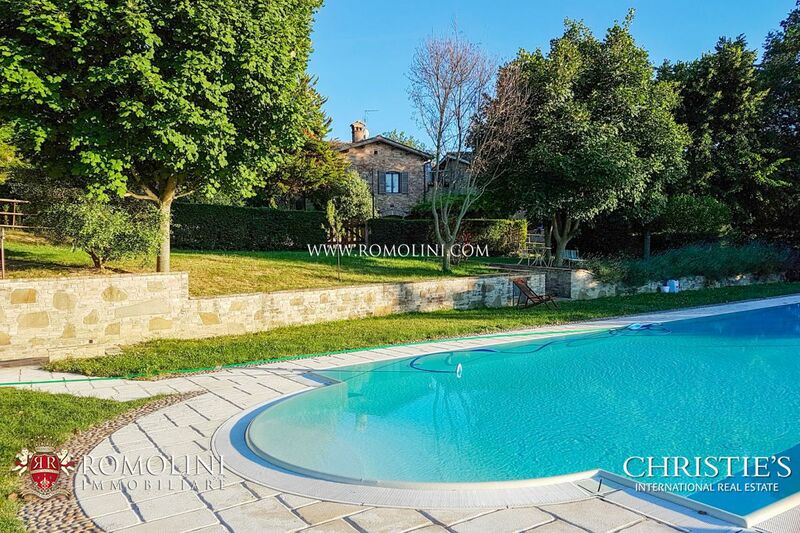 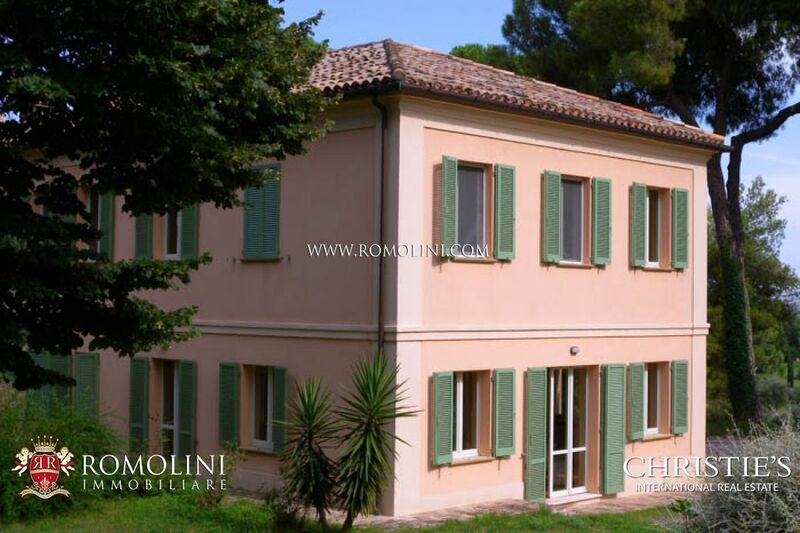 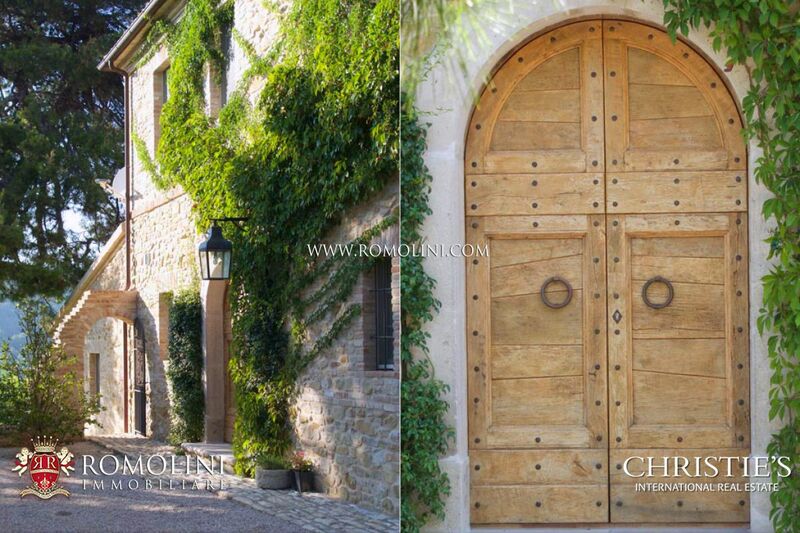 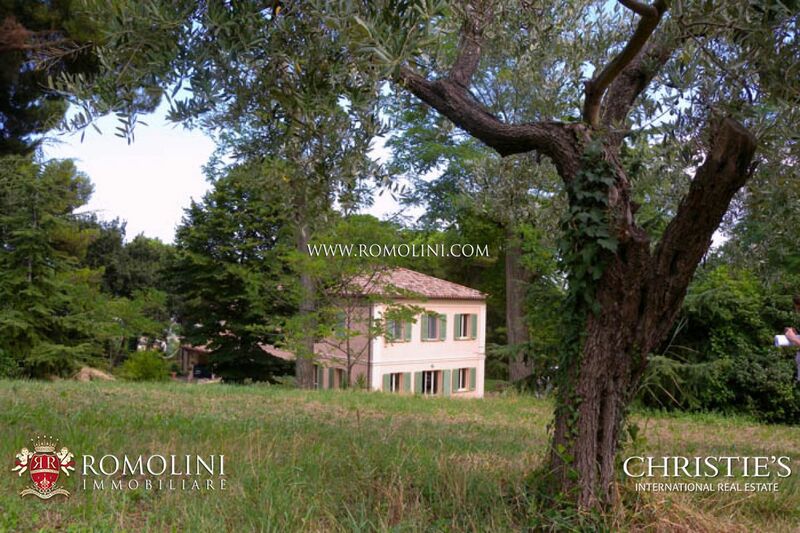 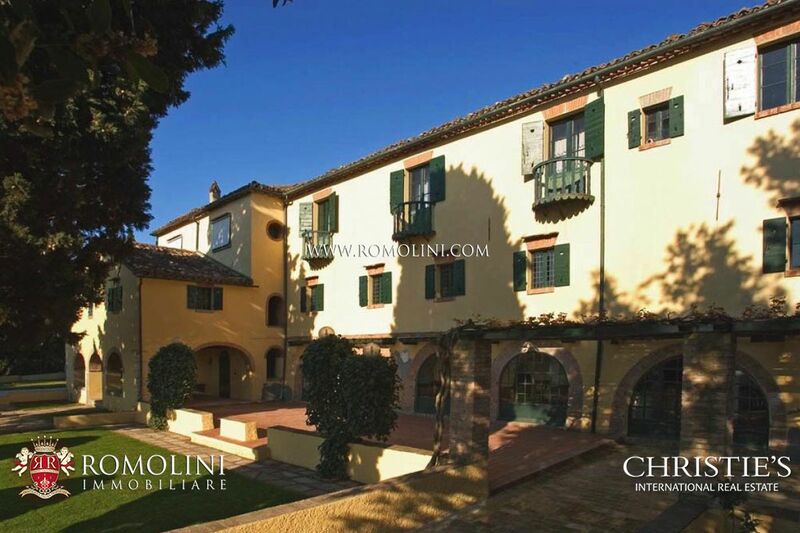 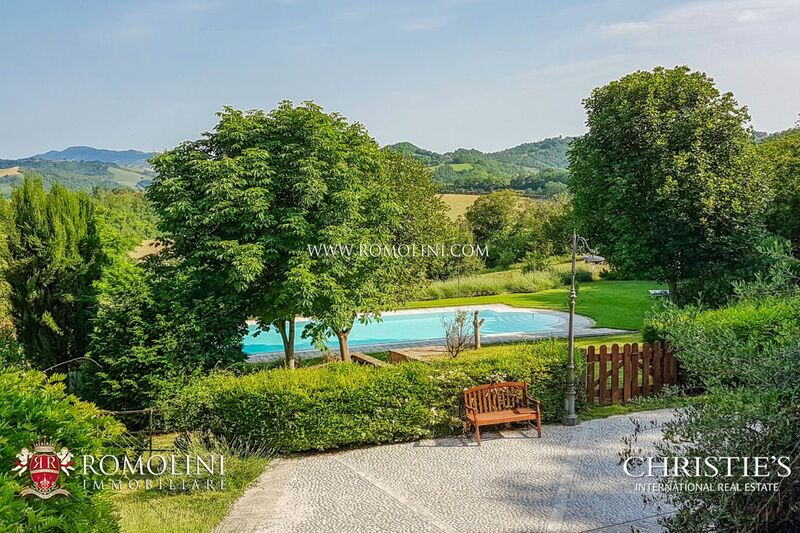 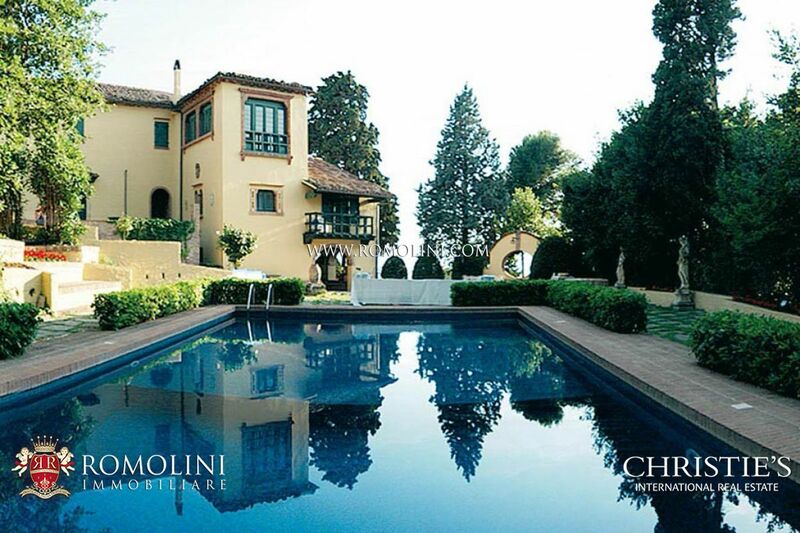 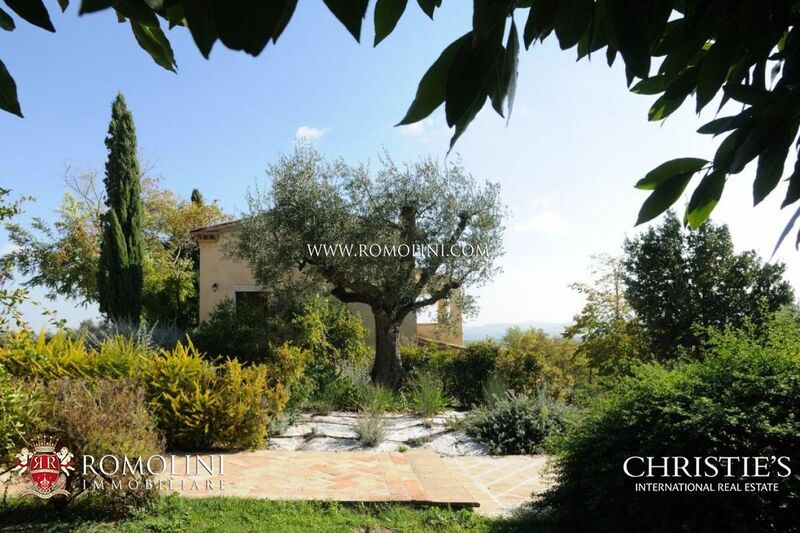 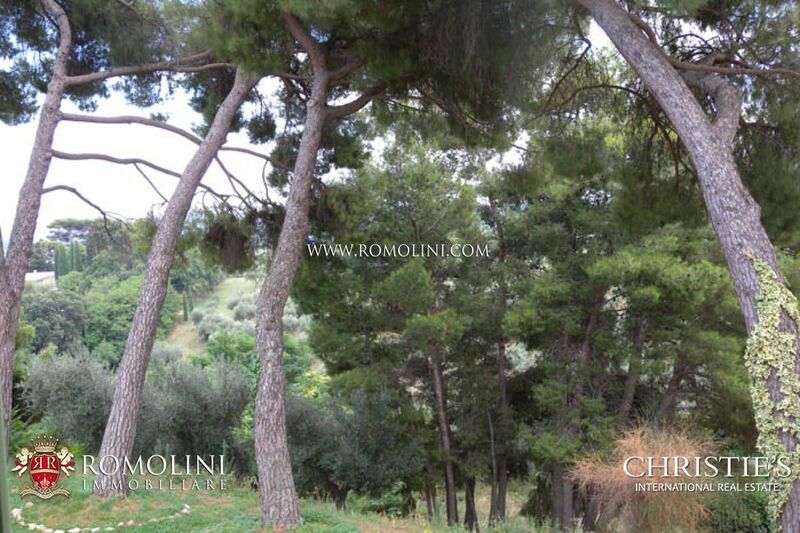 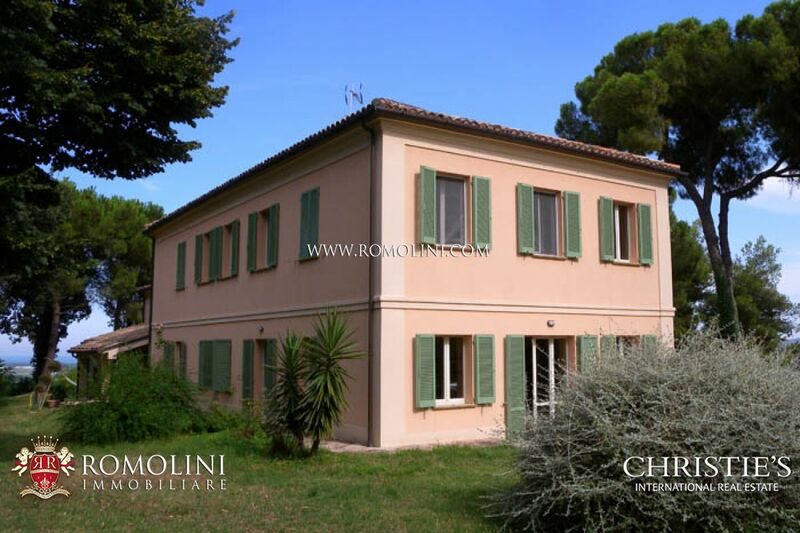 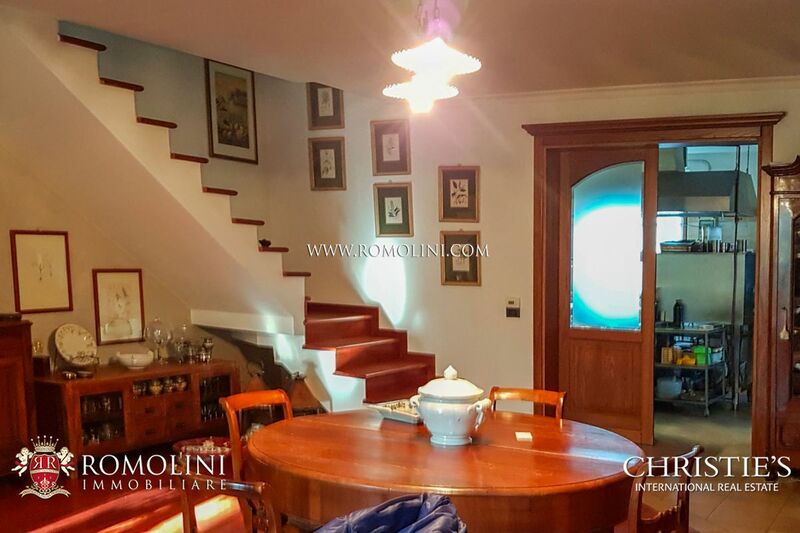 In the province of Pesaro-Urbino, looking for a house by the sea or a farmhouse in the Apennine countryside, Romolini Immobiliare offers its selection of properties for sale: on our website you can find historic villas for sale, farmhouses with swimming pools for sale or well-started Agriturismos. 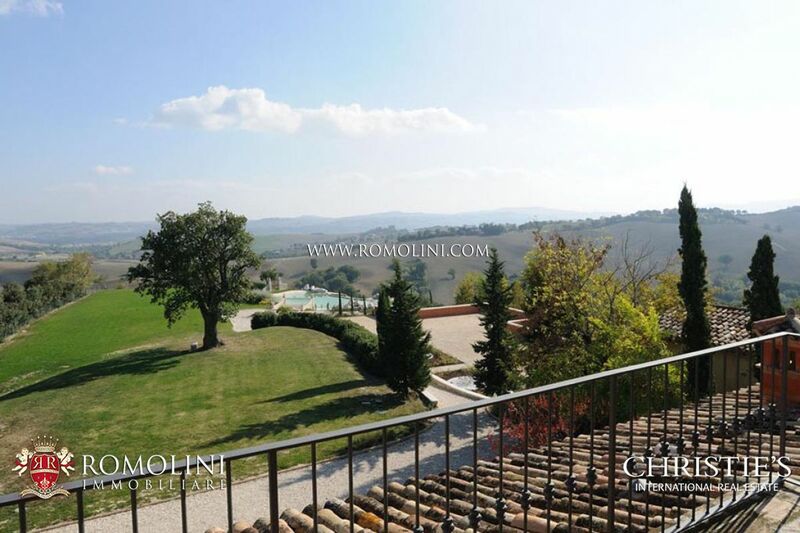 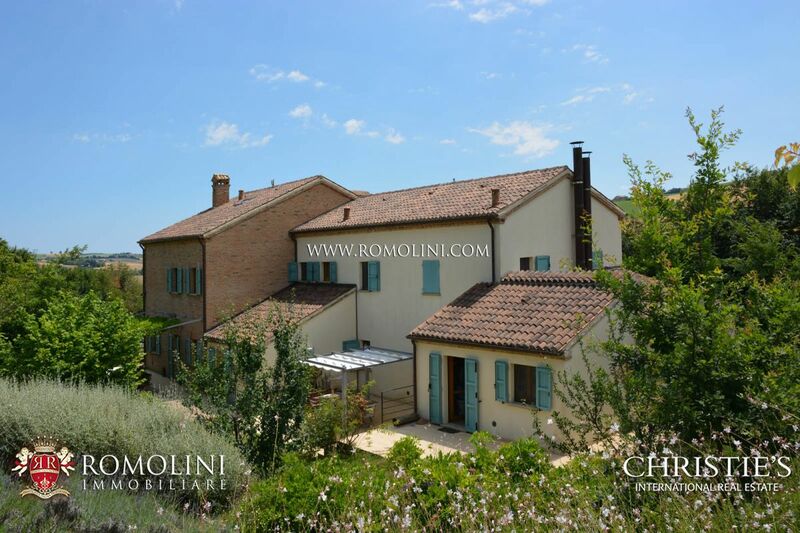 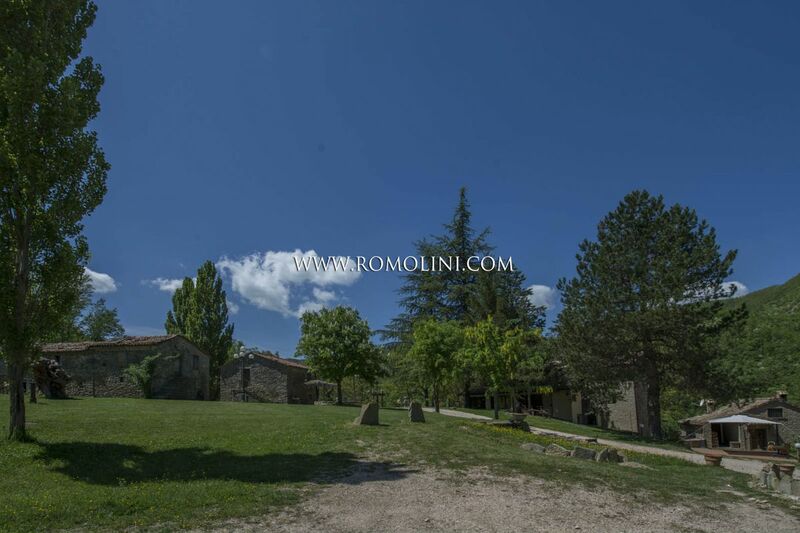 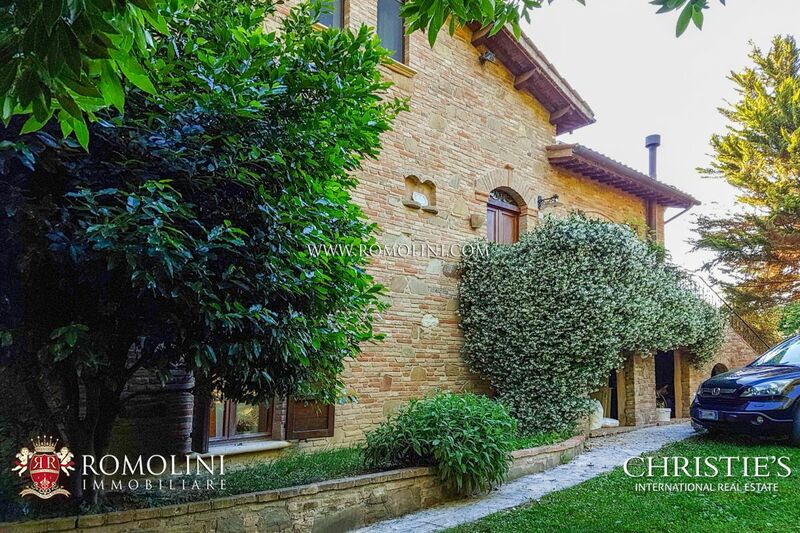 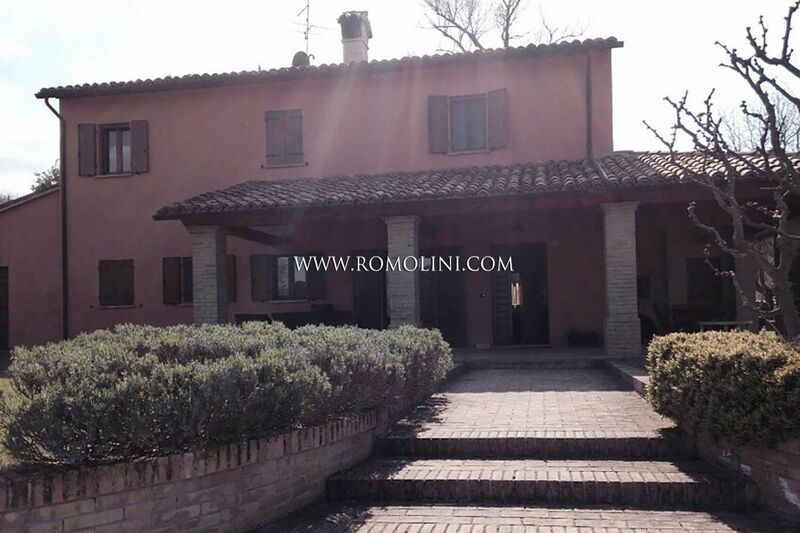 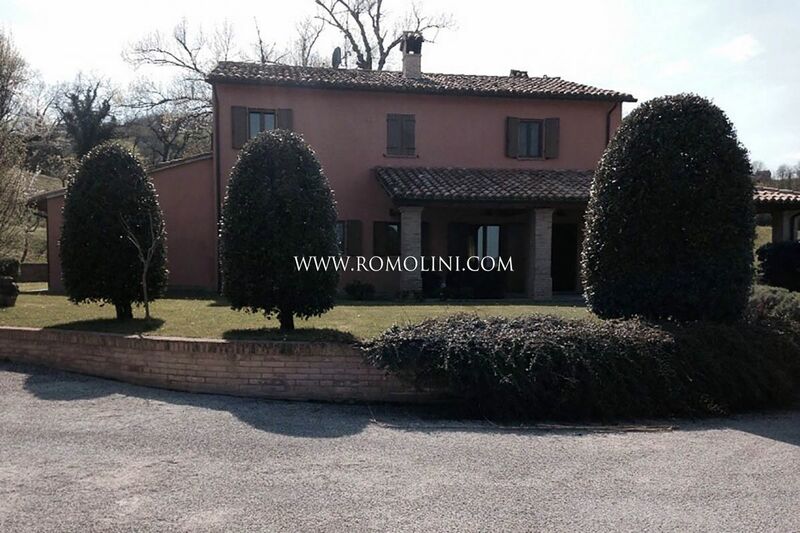 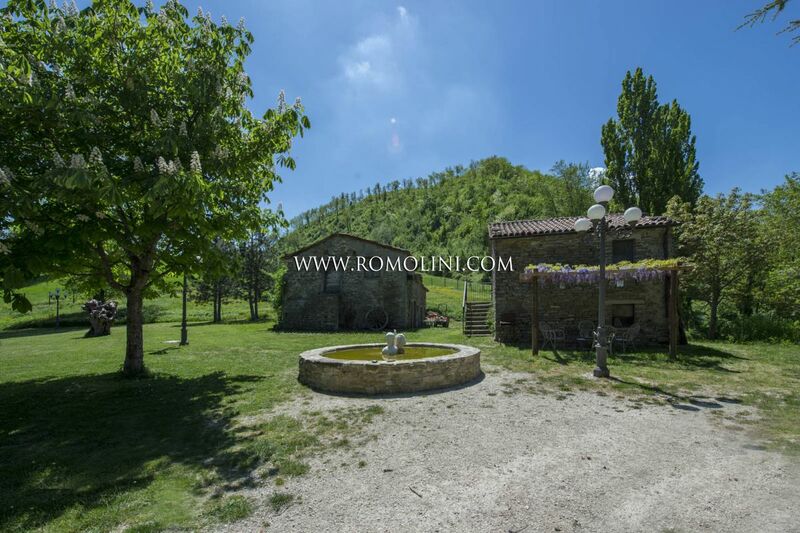 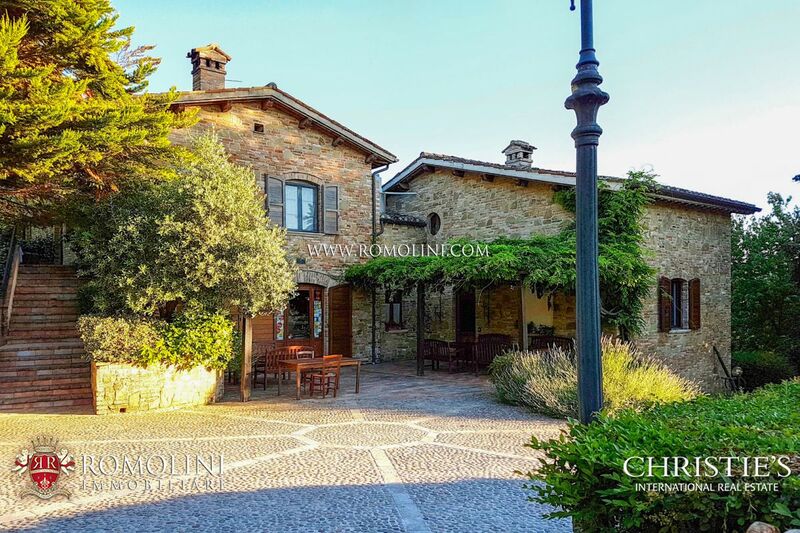 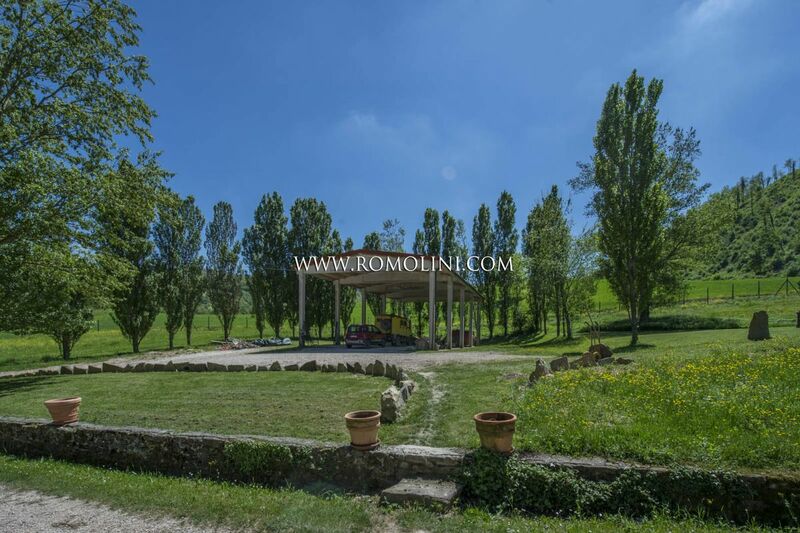 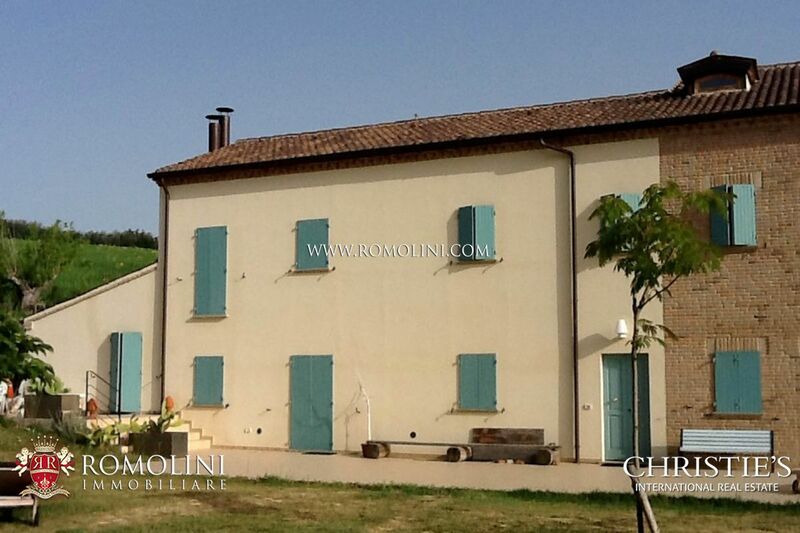 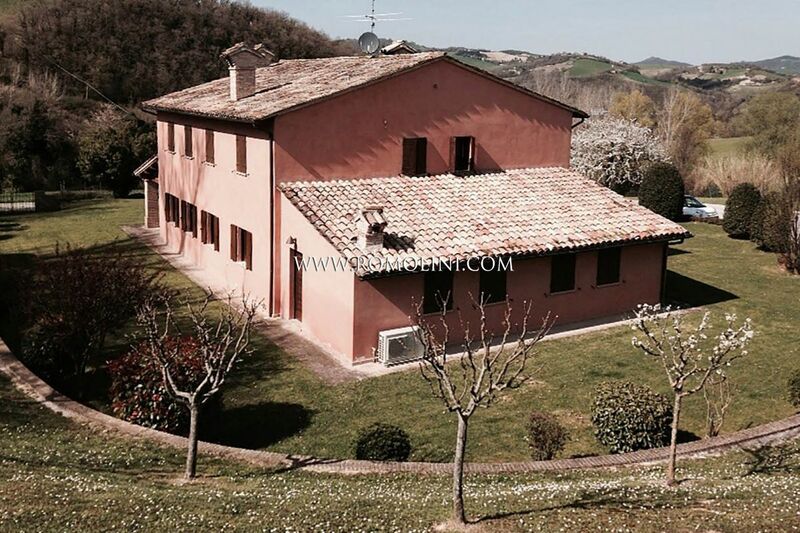 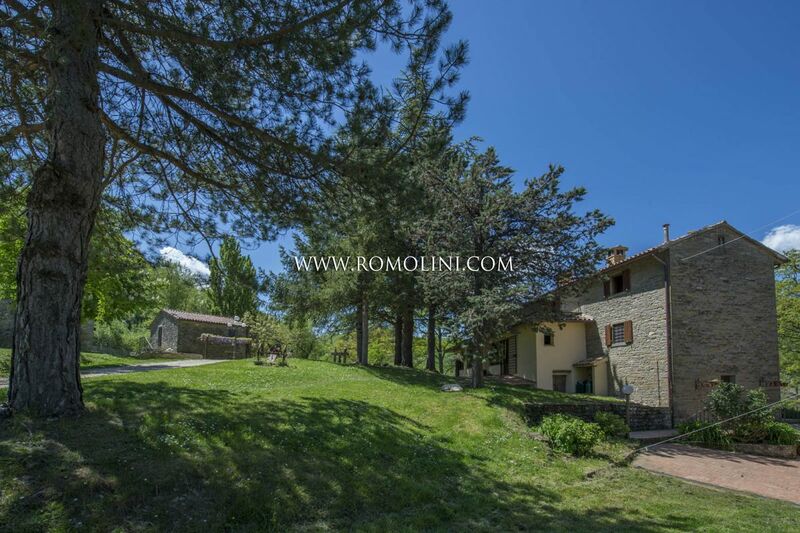 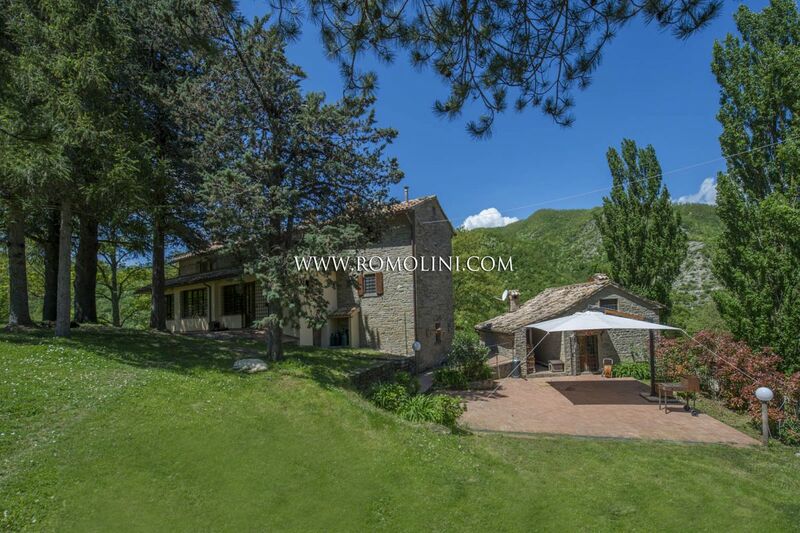 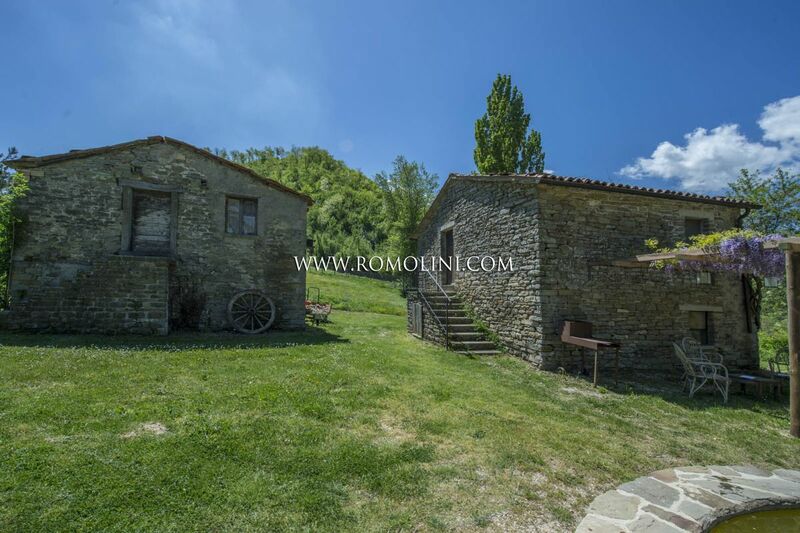 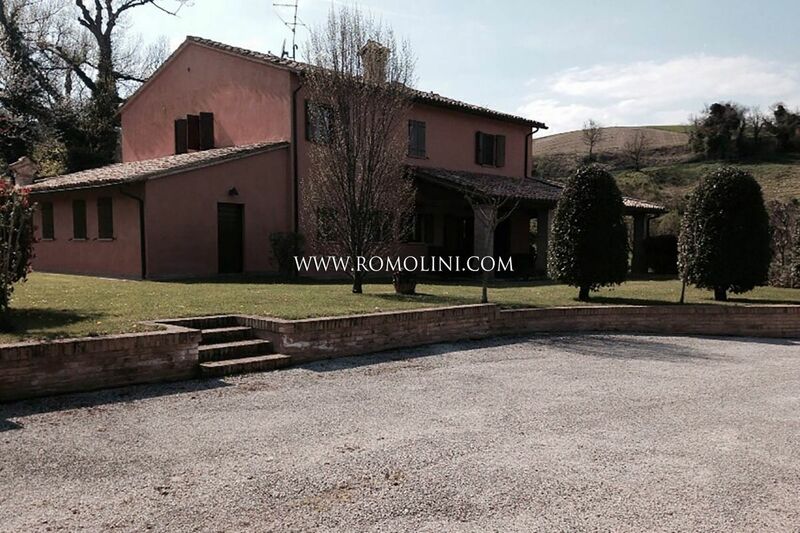 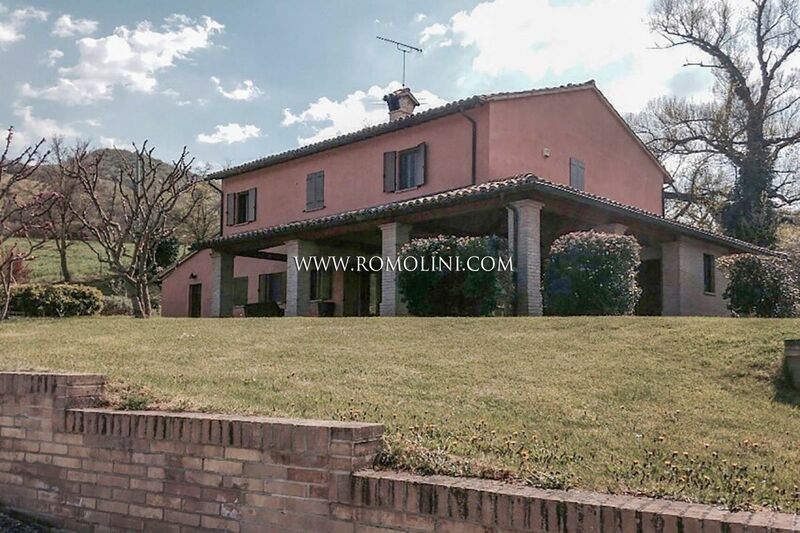 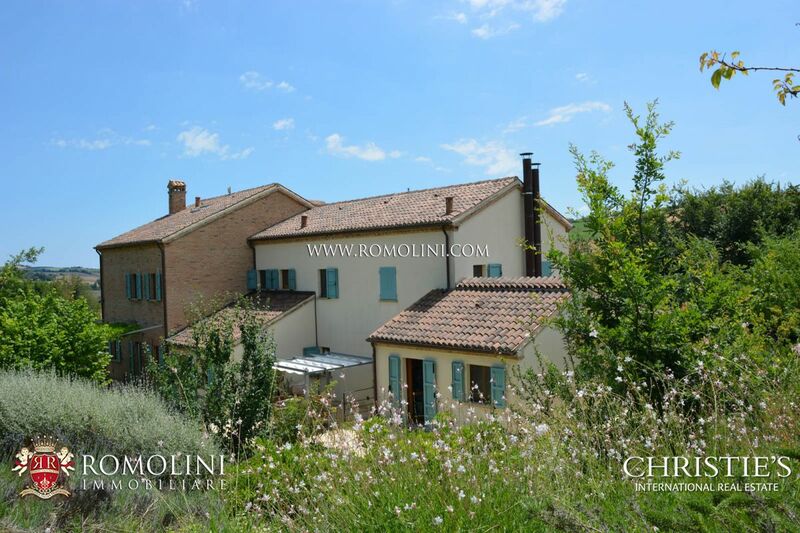 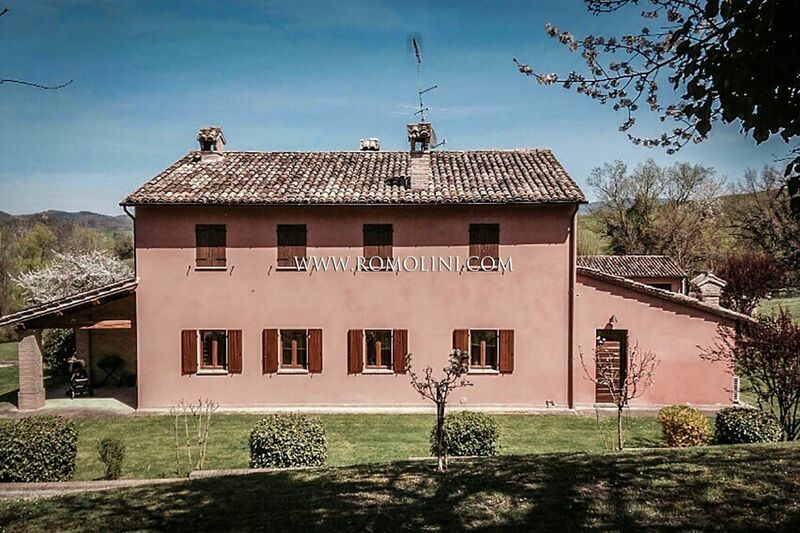 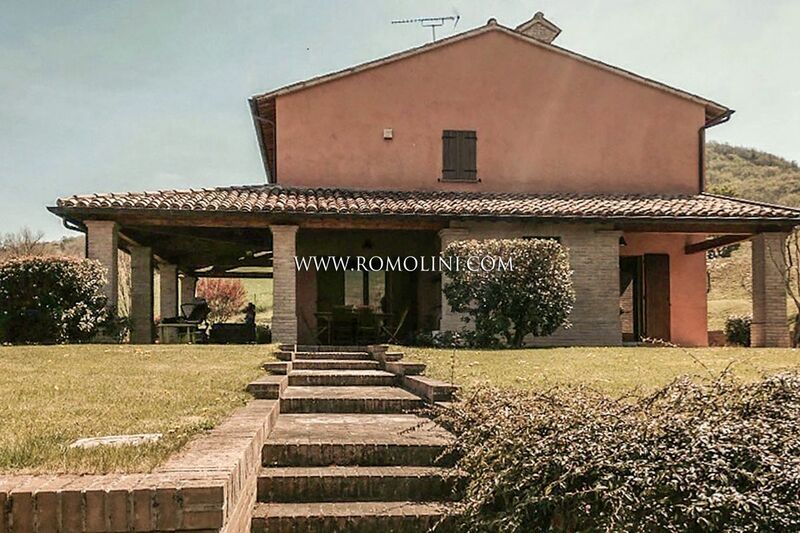 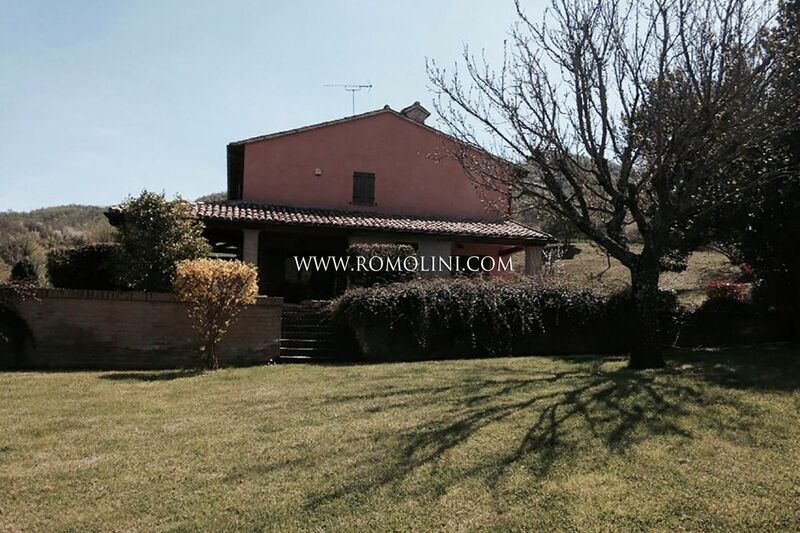 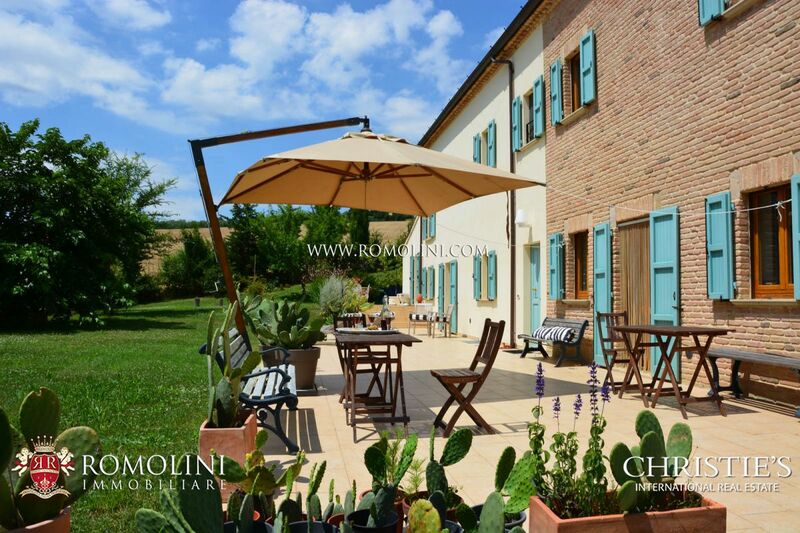 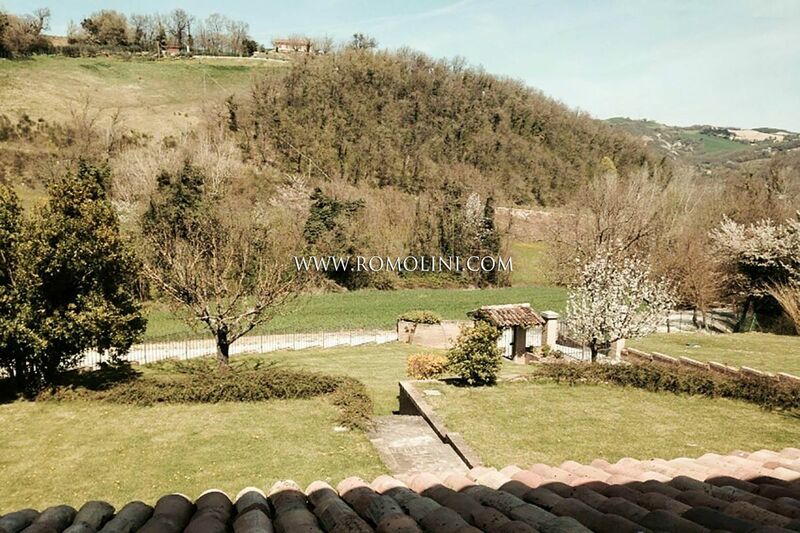 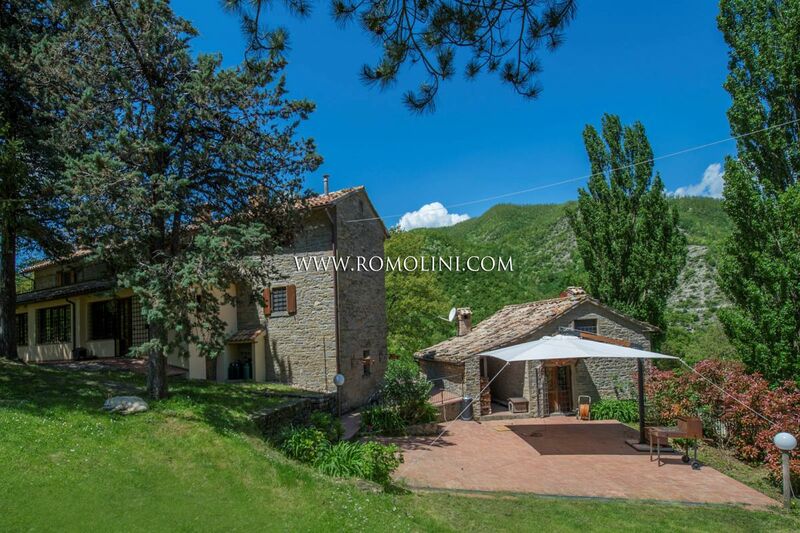 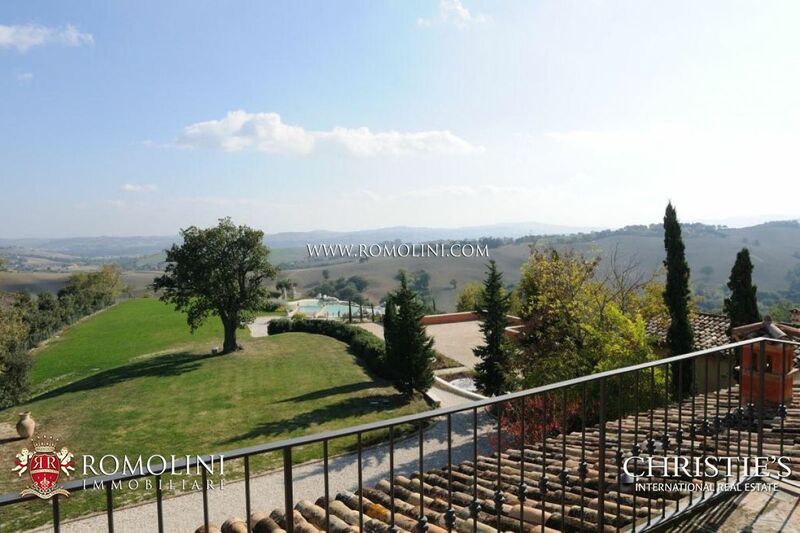 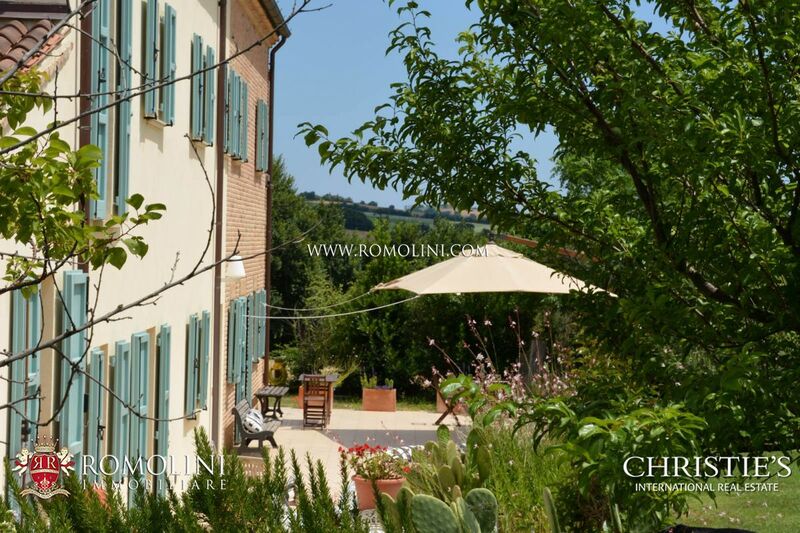 In panoramic position not far from the beautiful Urbino, this 600 sqm farmhouse is perfect for anyone looking for a building to use in the hosting business. 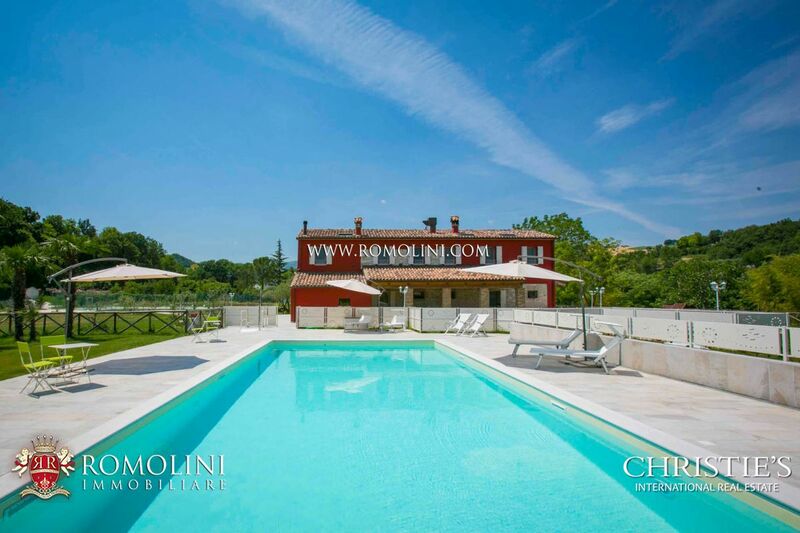 Carefully restored and maintained, the building can host up to 10 bedrooms and is fitted on the outside with a garden and a 14 x 6 m swimming pool. 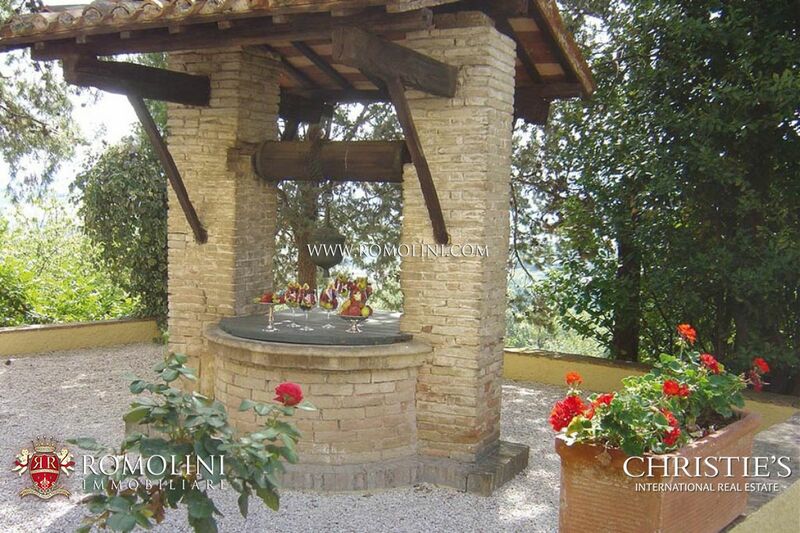 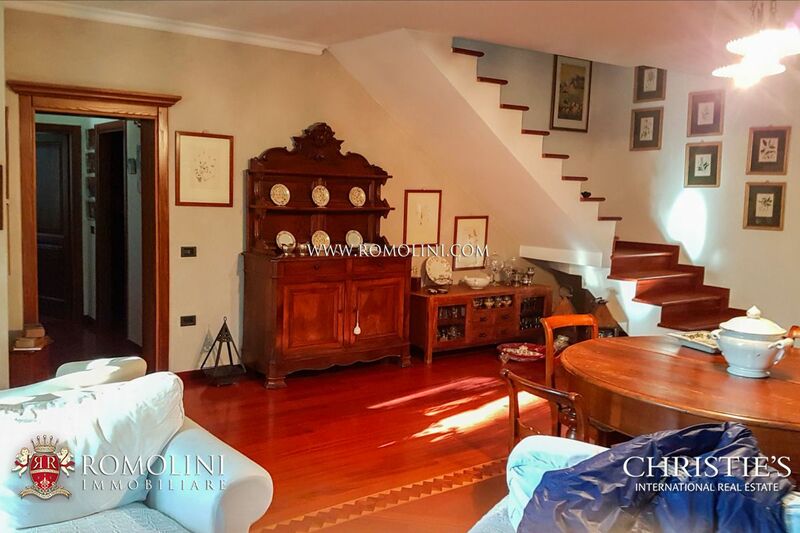 In the vicinity of a town with services, within a short distance from Fano, city of the most ancient Carnival of Italy, not far from the seaside locations of Senigallia, Cattolica, Rimini and Riccione, stone farmhouse for sale currently working as an Agriturismo. 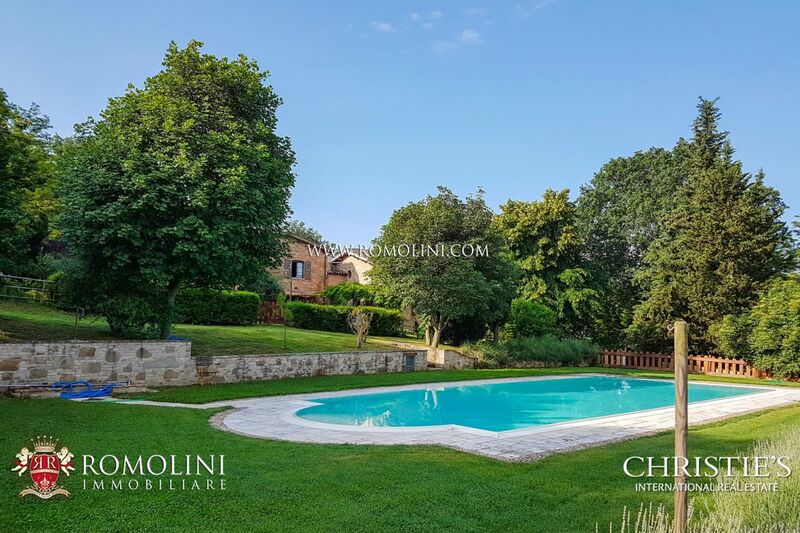 The property includes a 300 square-metre building on two levels and a dependance of 40 square metres , surrounded by an hectare of land with olive trees, lavender and fruit trees, two bocce courts, tennis court and a children playground area. 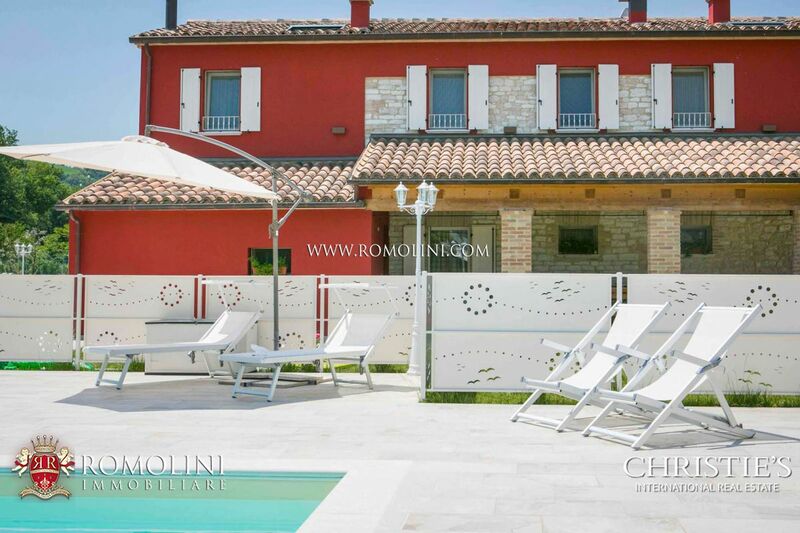 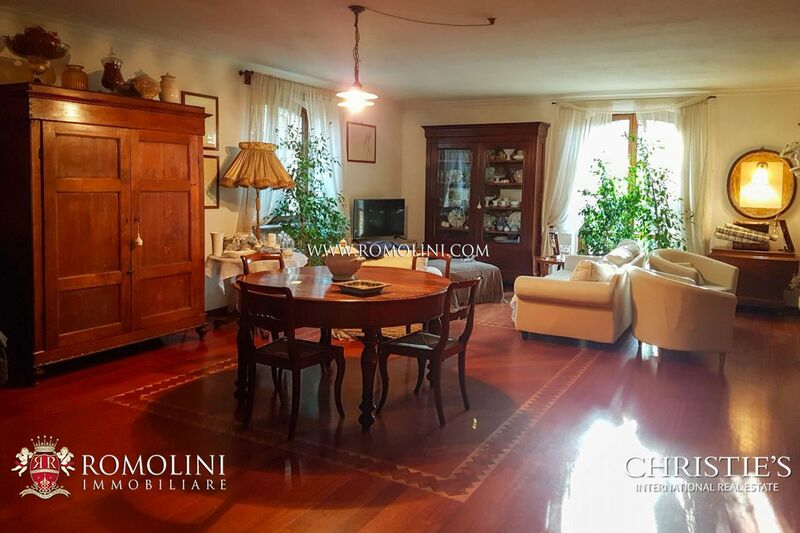 Fano 5 km from the sea villa on the sea for sale. 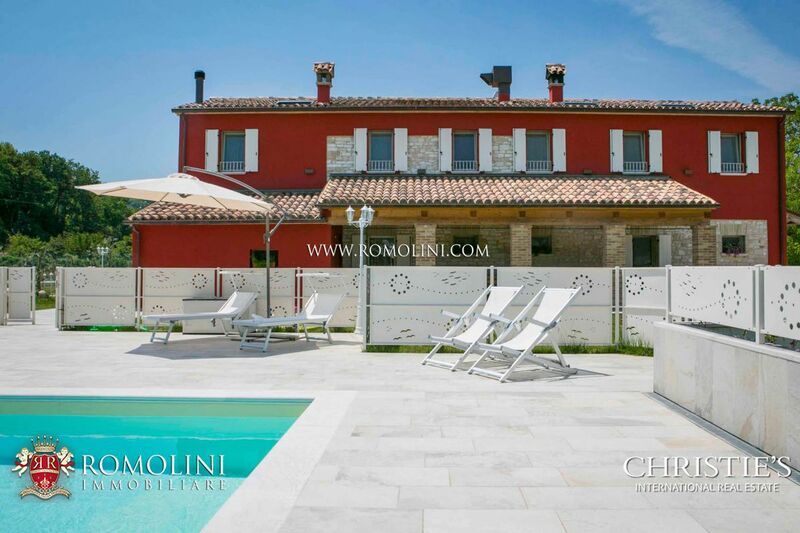 In locality Monte Giove, first hill at the exit of the Via Flaminia, at only 3,5 km from the historical centre of Fano, with a superb view of the city and the sea, there is this villa, carefully restored and surrounded by 3.2 hectares of land, which warrantees a perfect privacy and sun exposition for the whole day. 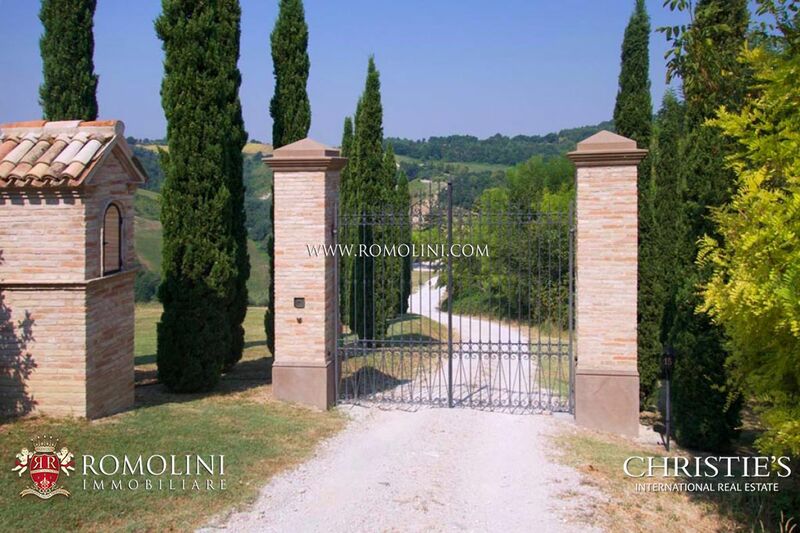 The access to the villa is through an asphalted road of 350 metres. 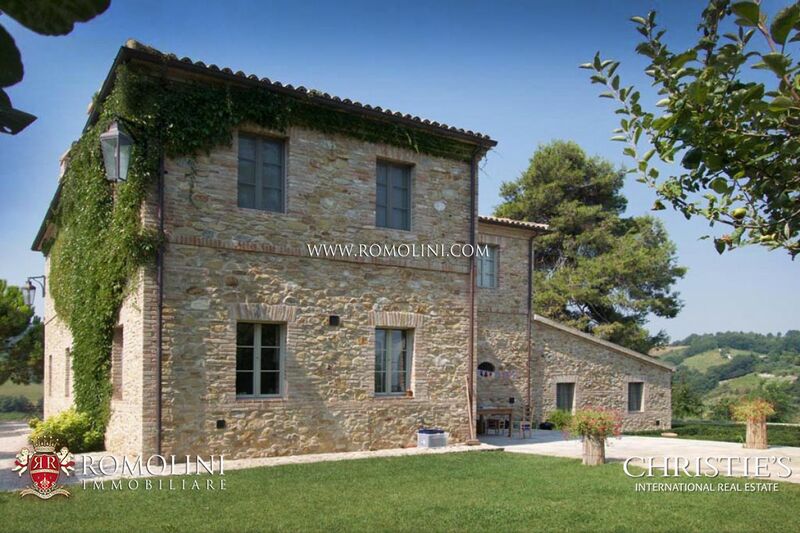 In the heart of Le Marche, on a hilly and panoramic position not far from the Adriatic Coast, farmhouse of 440 sqm (4736 sqft) completely rebuilt in 2006. 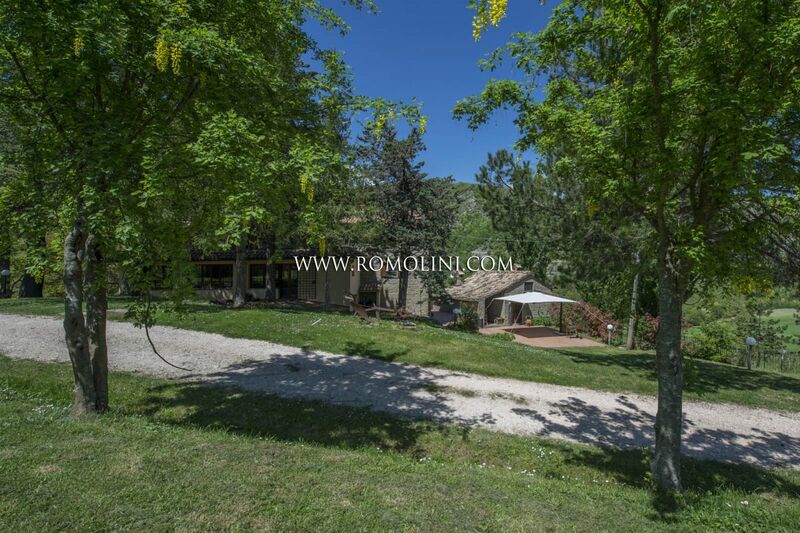 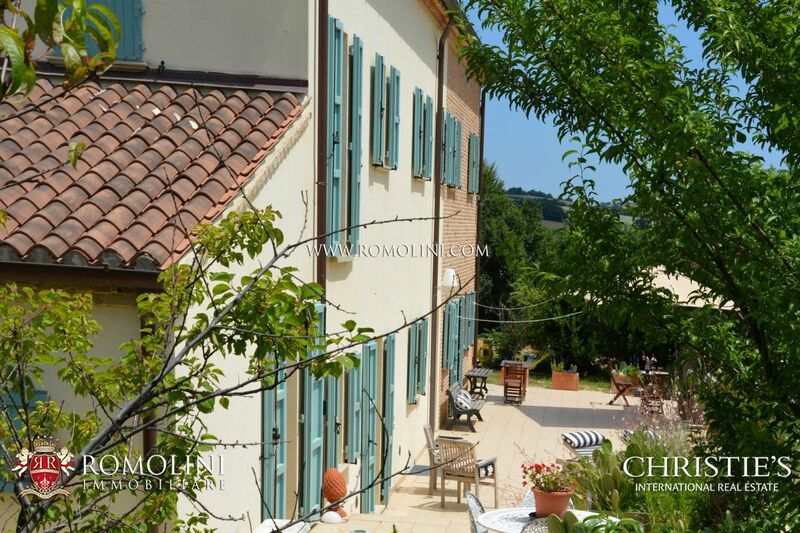 The property is surrounded by a 3500 square metre garden with wooden house for garden tools. 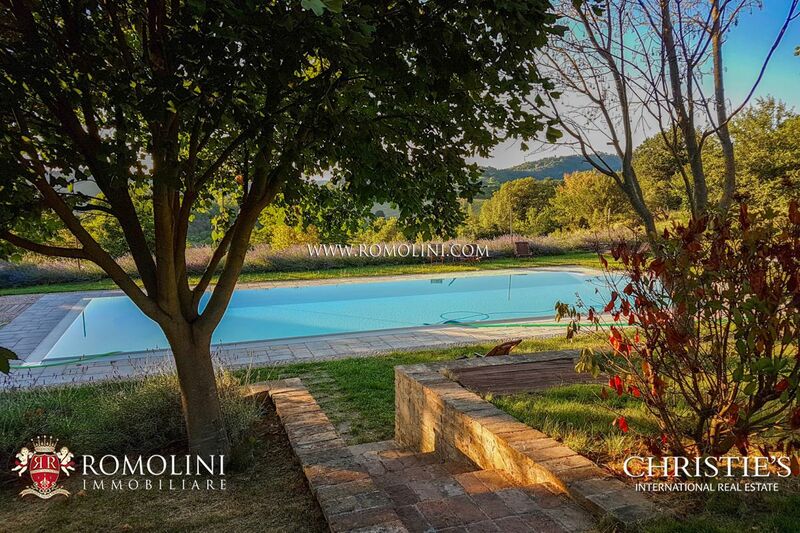 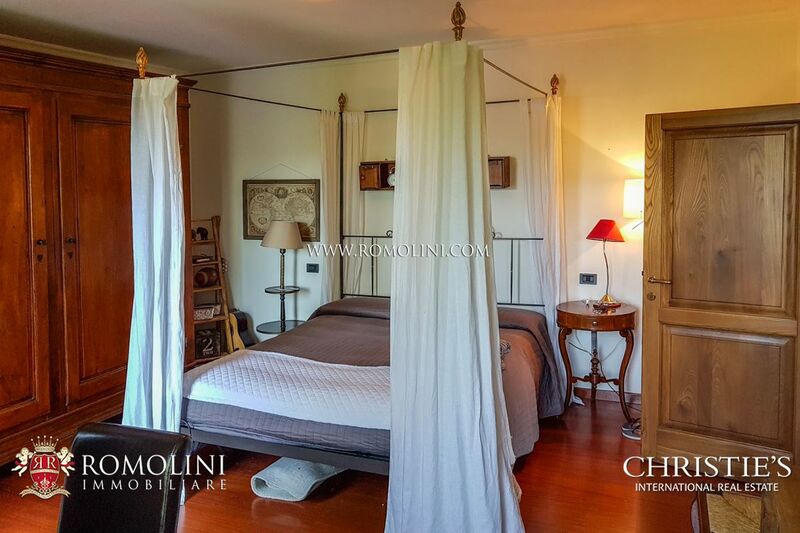 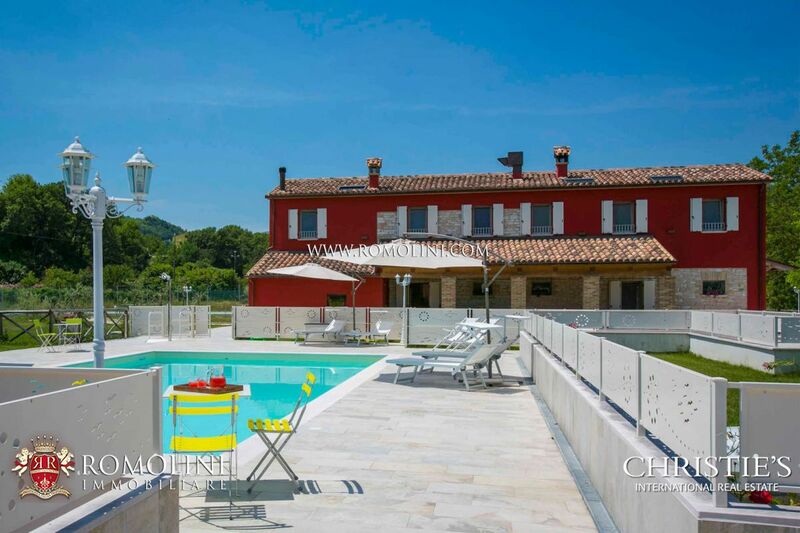 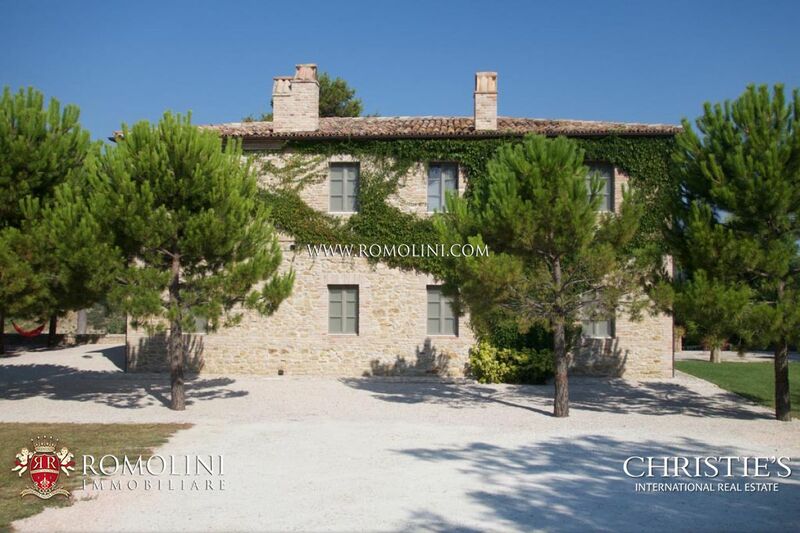 In the heart of the Marche, only 2 kilometres away from a small town with services, newly built 385 square metre-Villa with SPA and guest quarters. 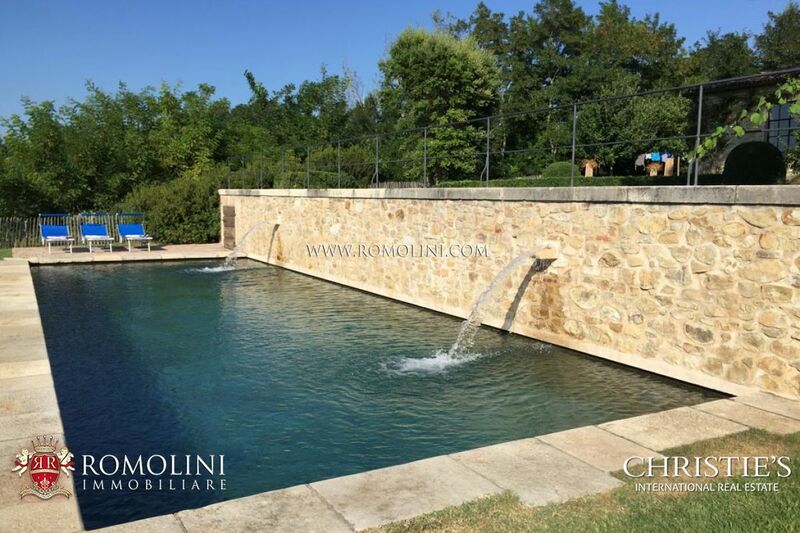 The property includes a garden with irrigation system, two hectares of park with ornamental plants and pool. 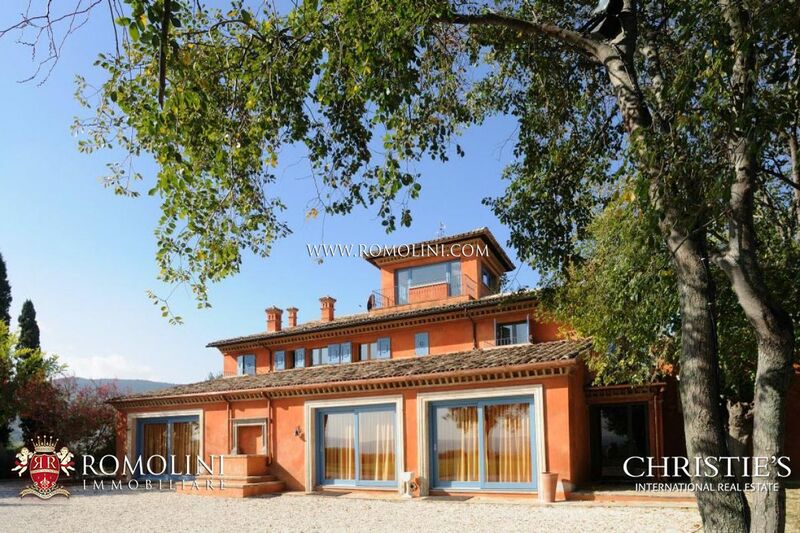 The villa is currently being used as a private home, but, considering its features, could easily become a high quality business activity. 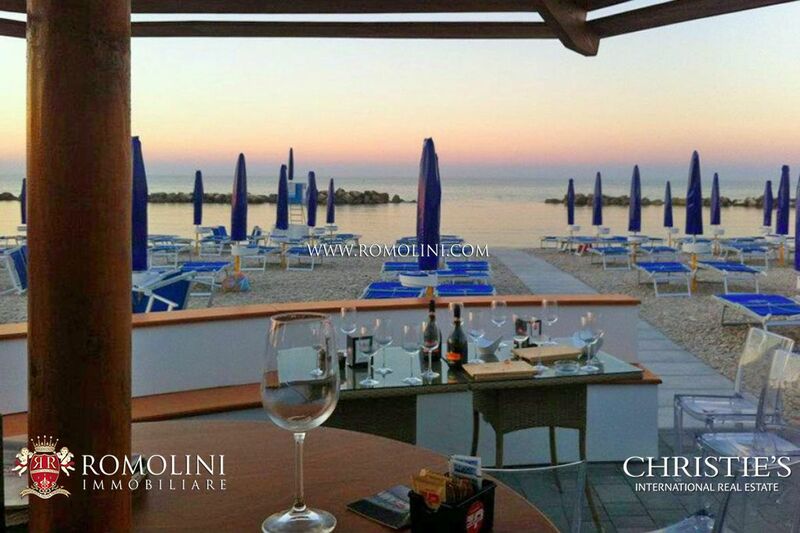 Only 5 km from the sea and from the nearest town, Il Monastero sul mare overlooks the surrounding hills, with an incomparable view on the Adriatic coast. 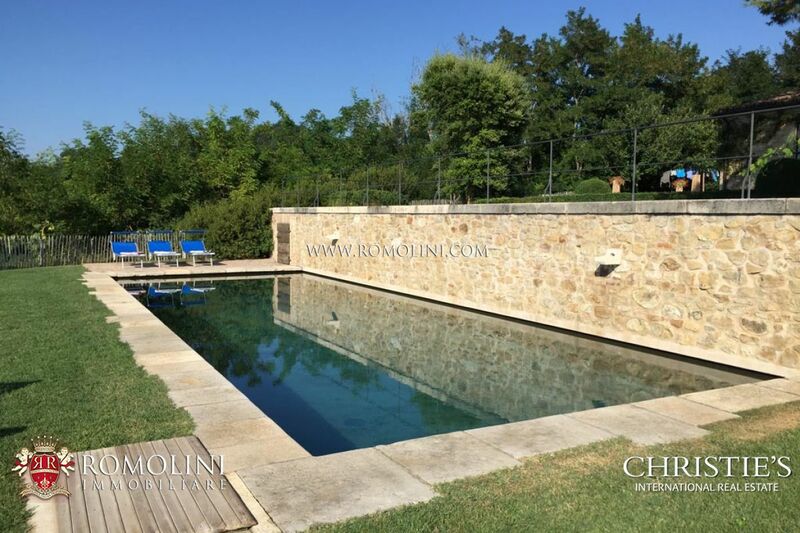 The outdoor area extends for 1.2 hectares including 7,500 sqm vineyard and 5,000 sqm of park with tennis court, flower essences, barbecue area, swimming pool, gym, tennis court, three outbuildings and a large terrace. 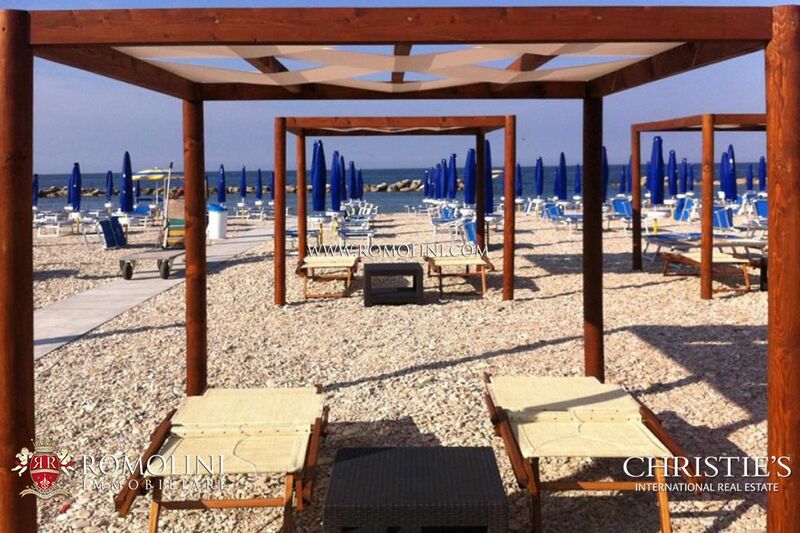 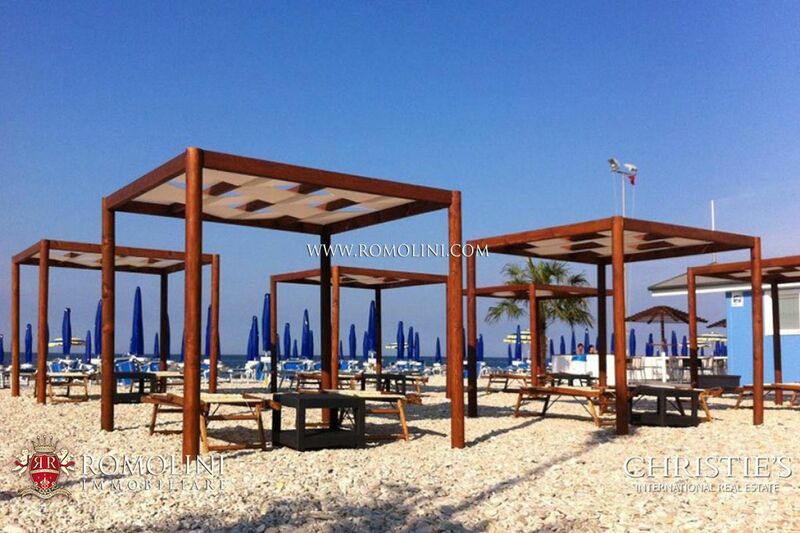 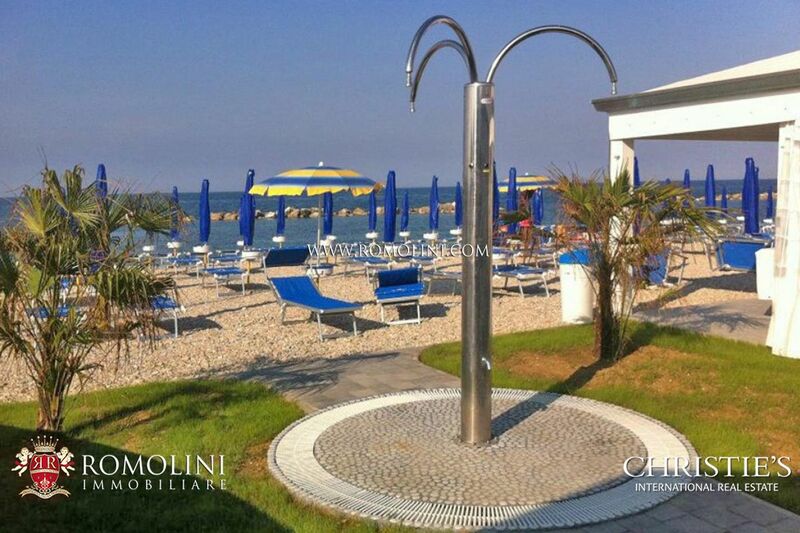 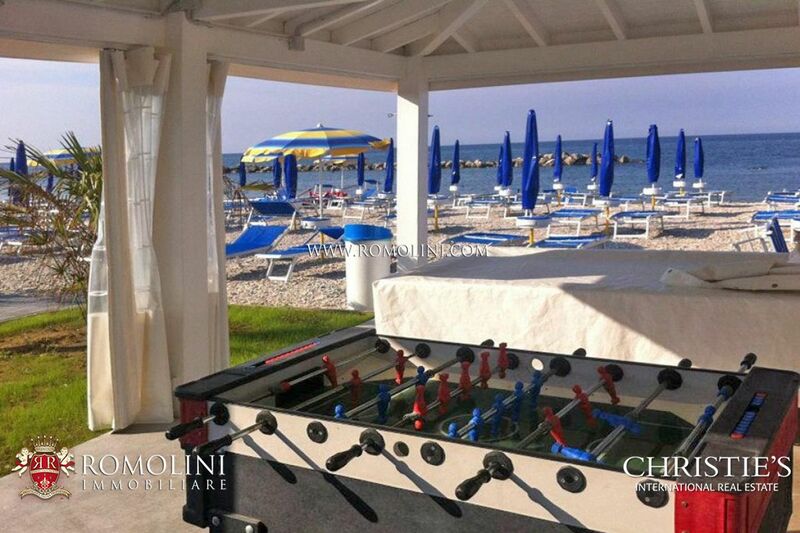 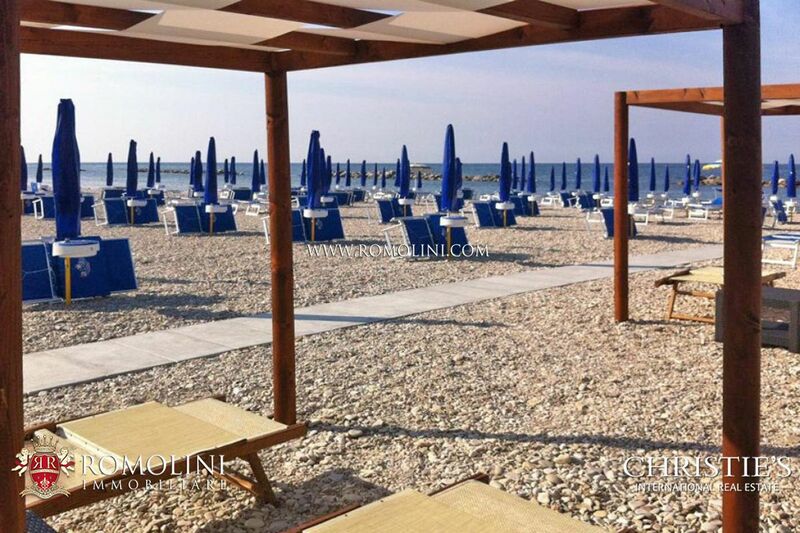 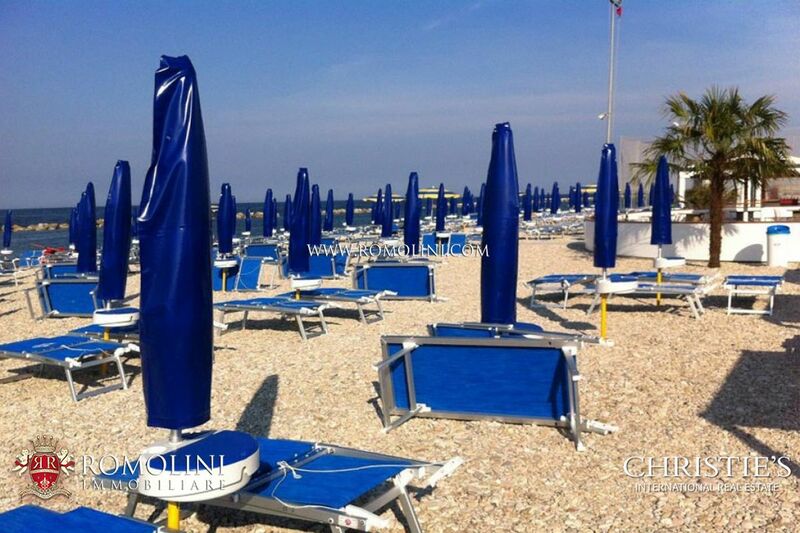 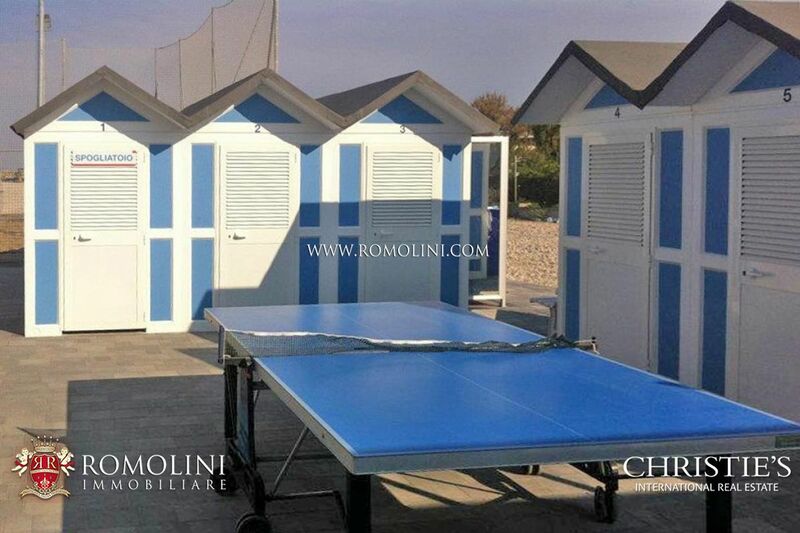 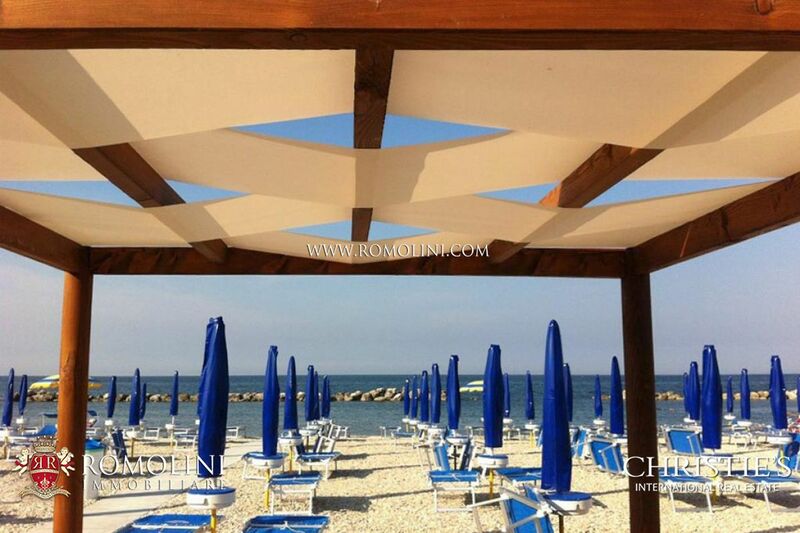 Thriving beach resort in Fano (PU), in Le Marche for sale. 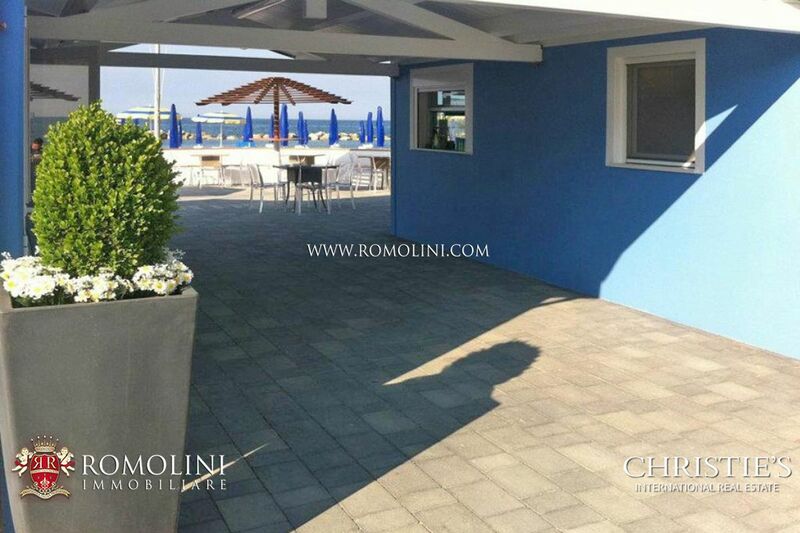 In an excellent position in the town of Fano (Baia Metauro), this activity includes a loyal customer base which guarantees excellent annual takings. 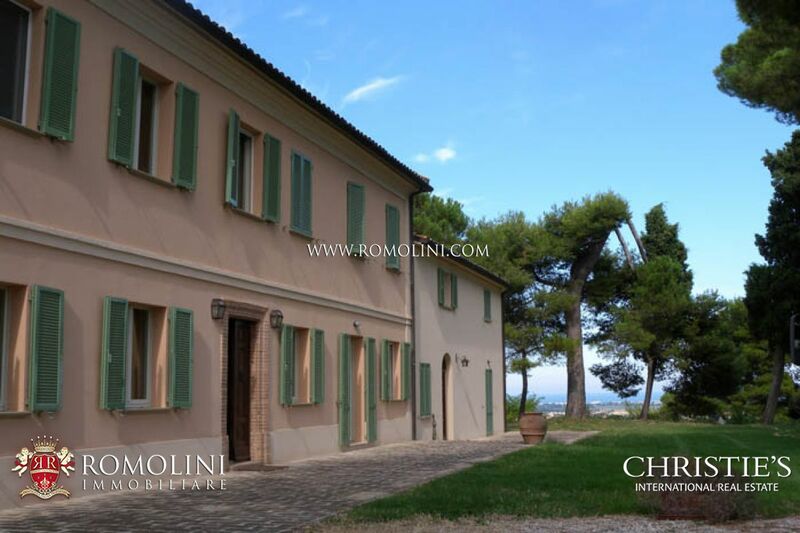 A few kilometres from a small town in the countryside, nestled in the pristine landscape of the Valley of Metauro, lies “Residenza d’epoca Marche”, a complex created by developing an original structure dating back to 1700, consisting of a main villa plus dependances and a church. 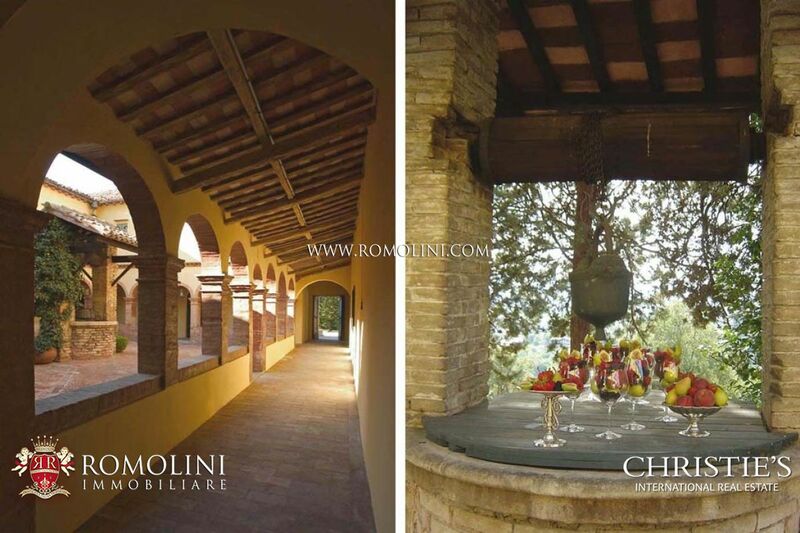 The complex is something of unique in its genre, and is the result of the restoration of a structure dating back to 1700. 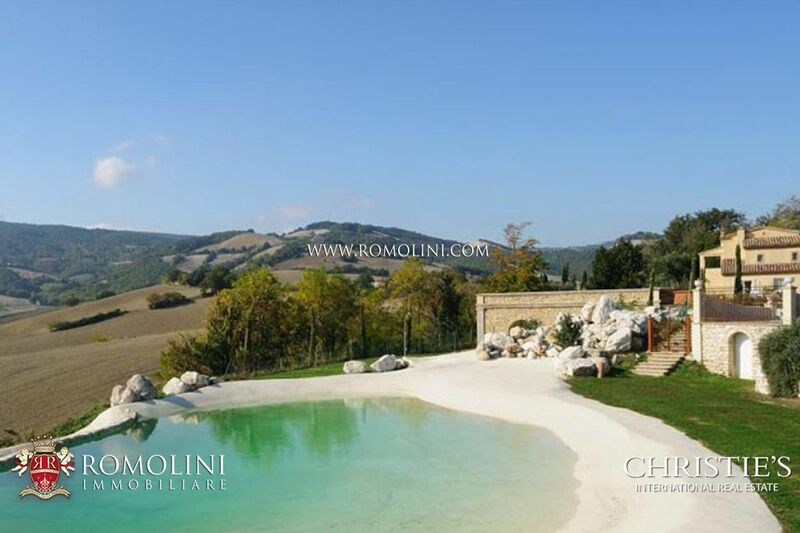 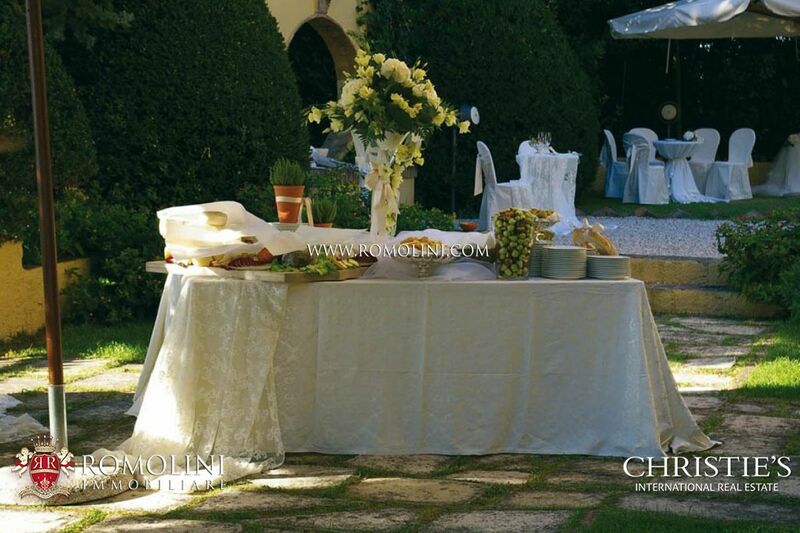 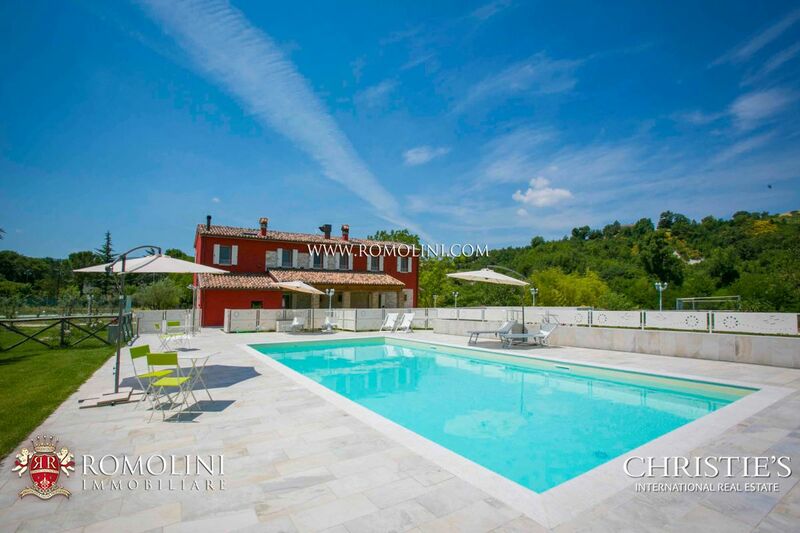 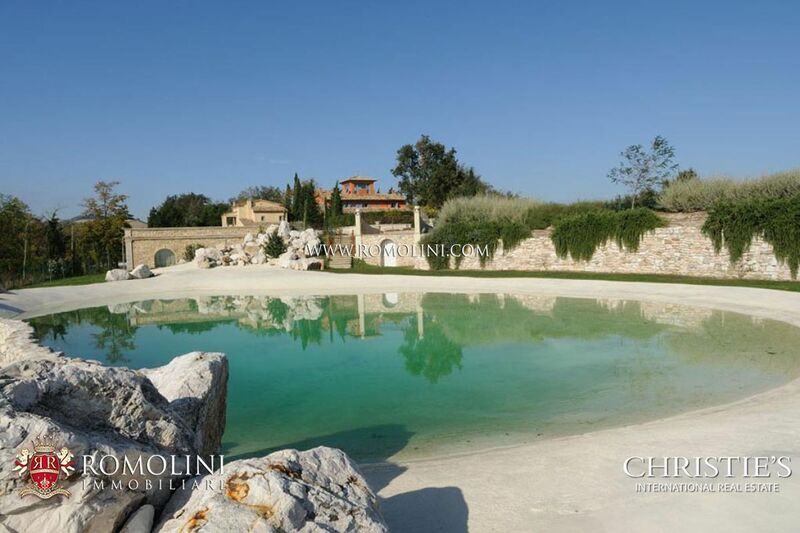 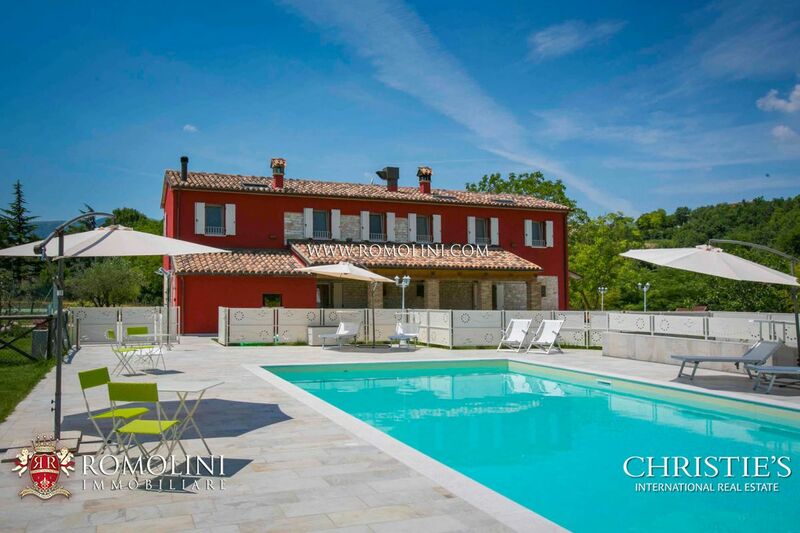 The pool is large, immersed in the Marche countryside and offers a fascinating view over the surrounding hills.